Our school C.E.G Salimde was in urgent need of Latrines for their school building, since in the past years both, students and teachers, had no place where they could go to the toilet – so they ended up having to do their business in the bushes around the school. 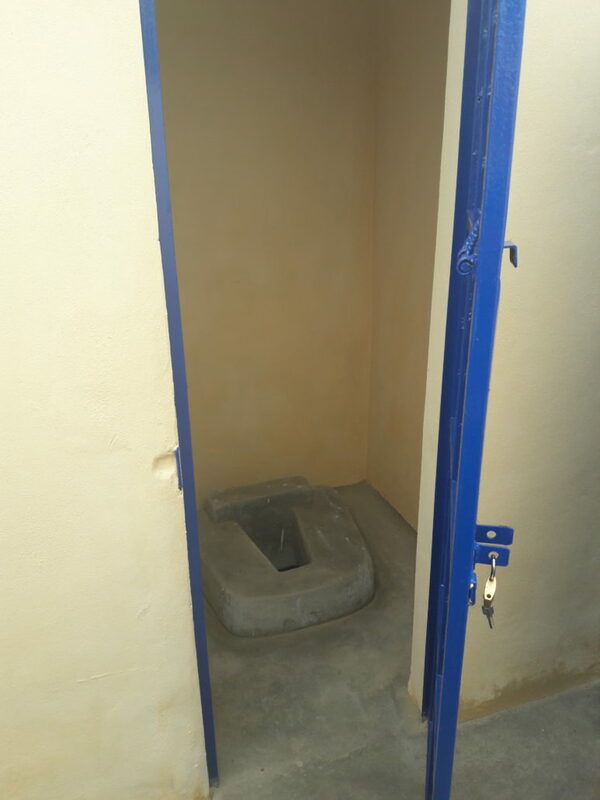 While for boys this might not be as big of an issue, especially for girls this is not a very healthy and clean environment. 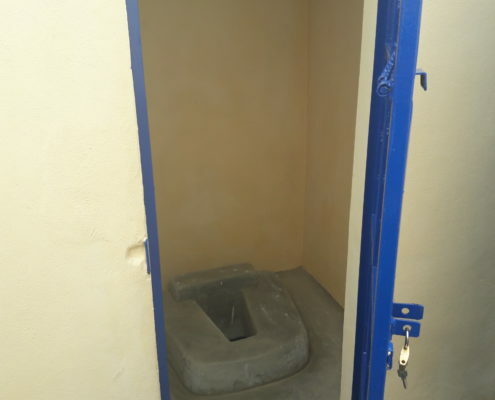 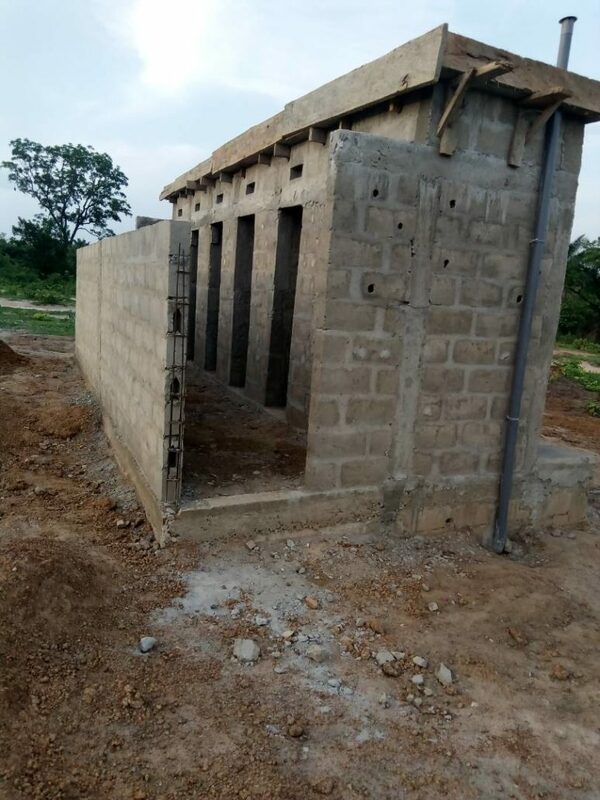 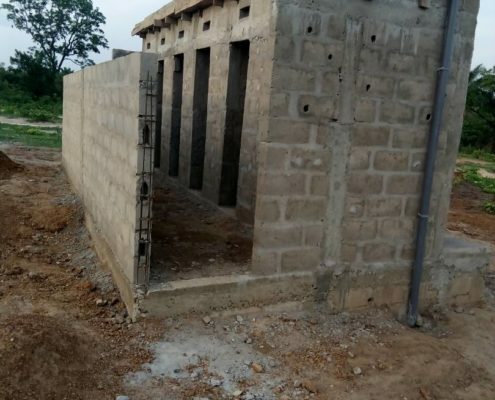 Therefore, in the first quarter of 2018, we started planning the construction of Latrines next to the school building so now, everyone can go to the toilet in a cleaner and more private manner. 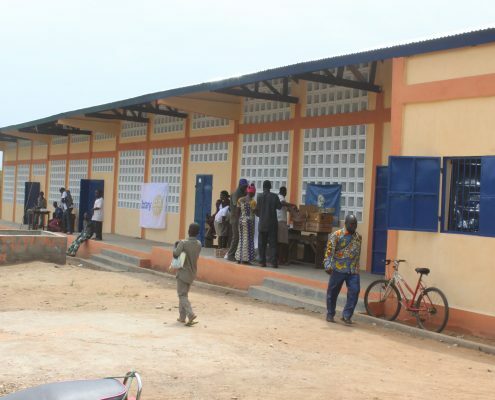 Hence, our goal to ensure the provision of basic human needs that support the everyday school life of our students is achieved once again. 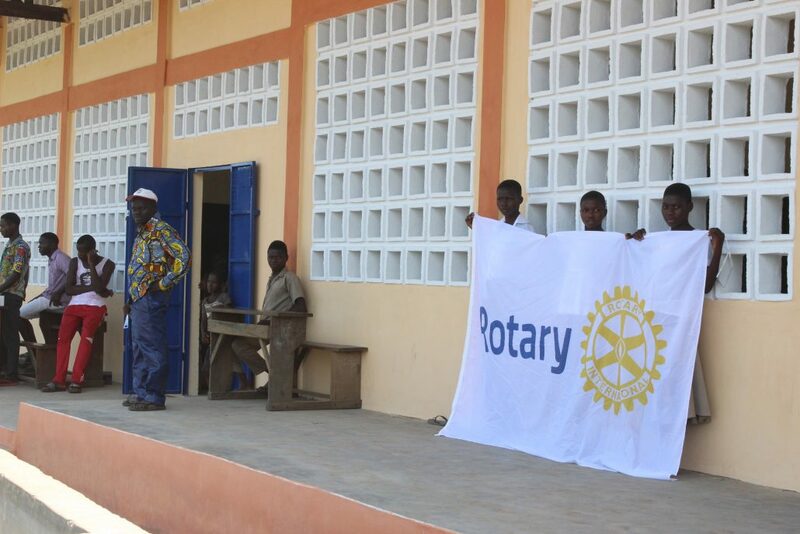 Luckily, we were even able to be part of the opening ceremony while we were on our Education Togo team trip around the country visiting our communities in May 2018. 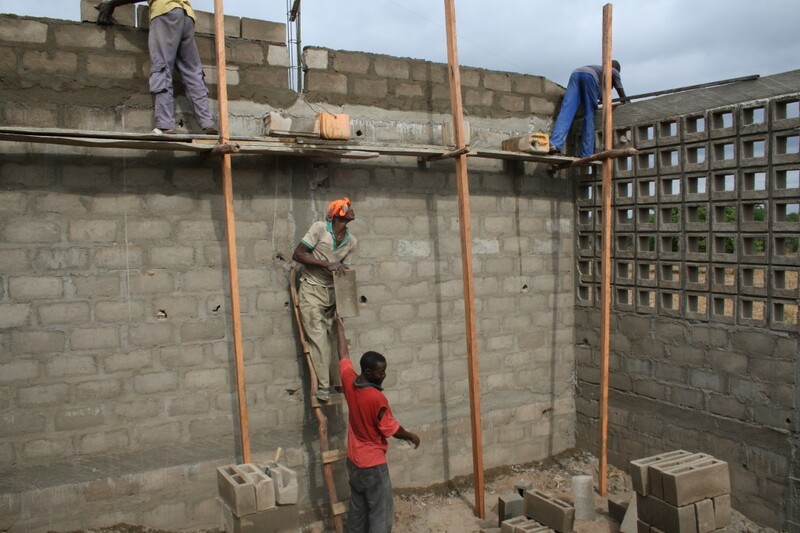 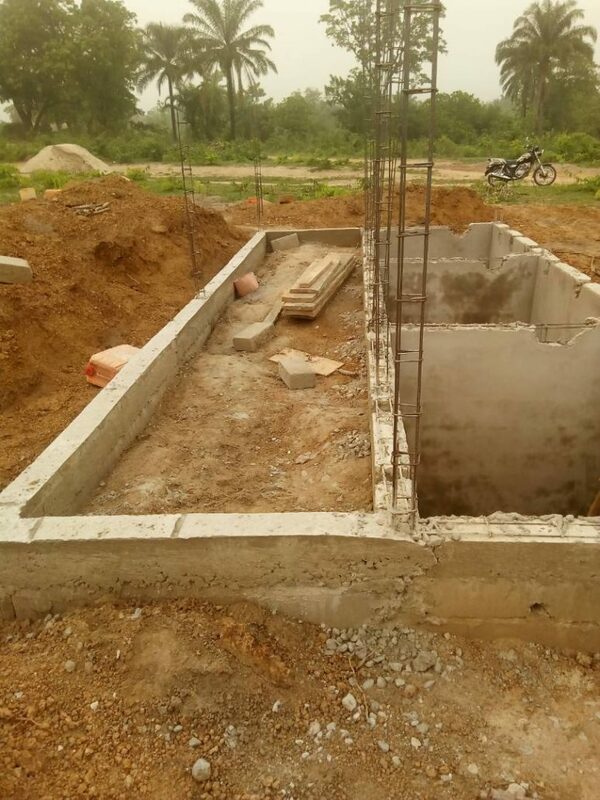 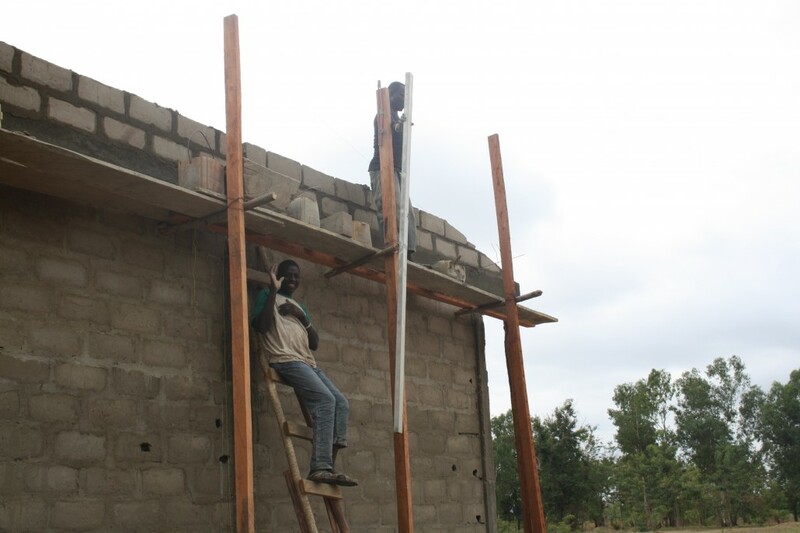 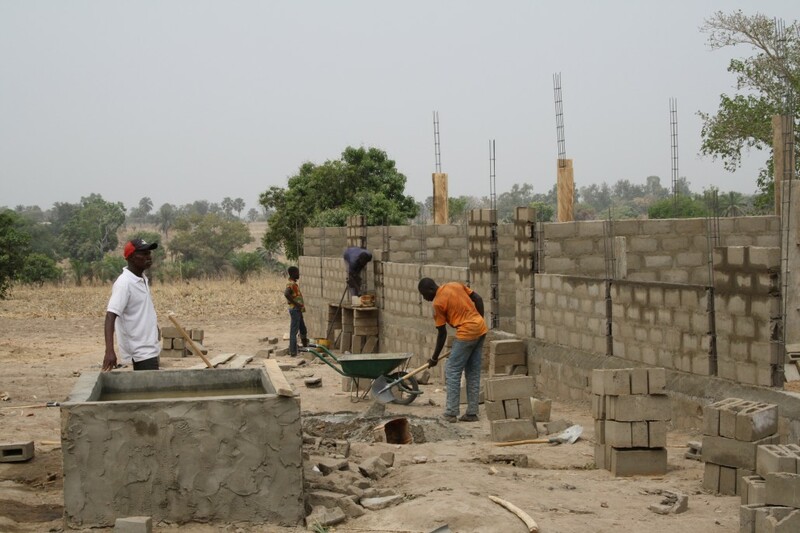 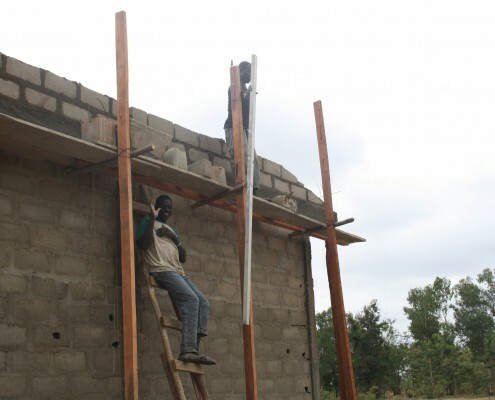 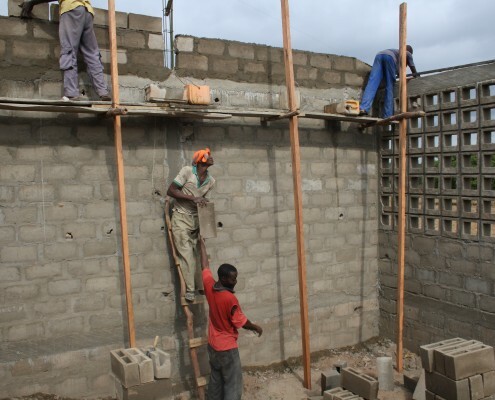 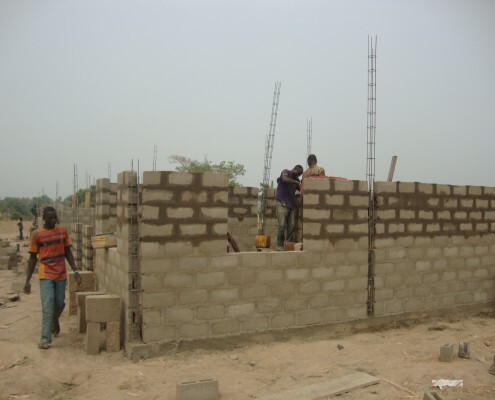 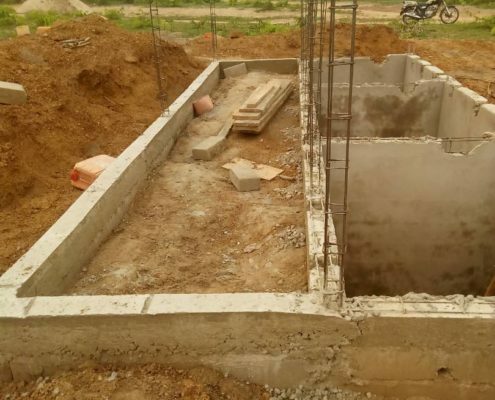 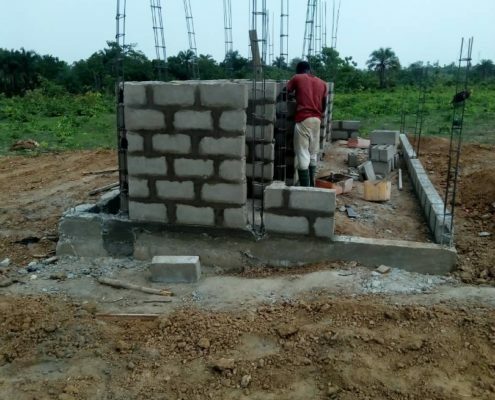 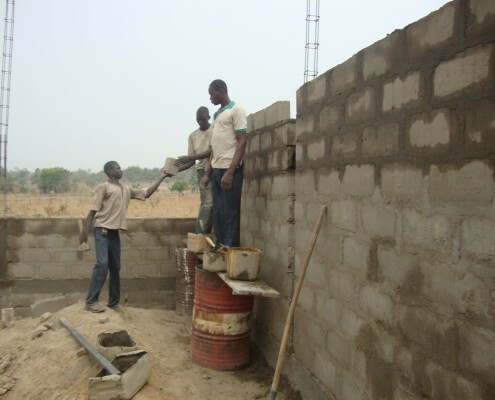 See below pictures of the construction process and the opening ceremony of the new Latrine building. 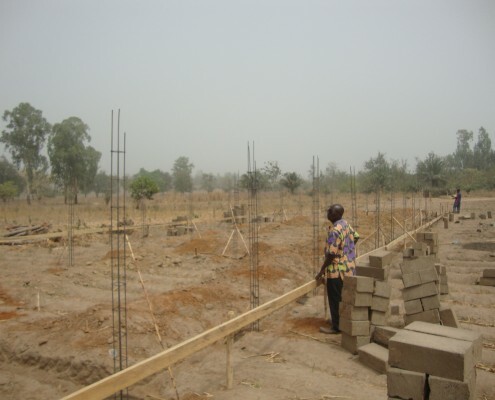 Beginning of 2017, we decided to build our sixth school. 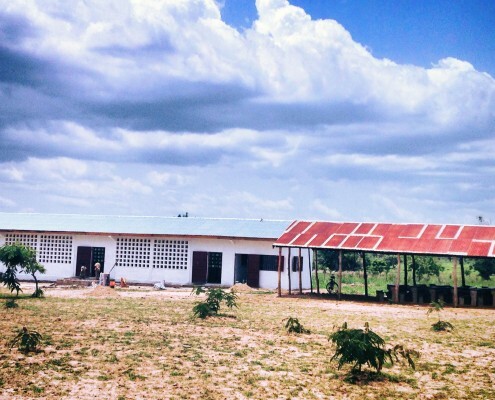 With the help of a new inspirational architect, the building was set up in Gassi-Gassi, a village located in southern Centrale just outside of Pagala. 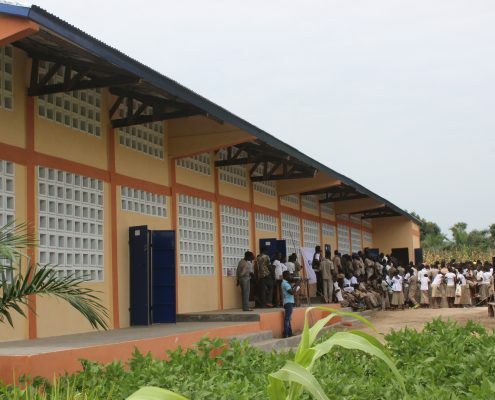 Gassi-Gassi was in desperate need of a middle school structure. 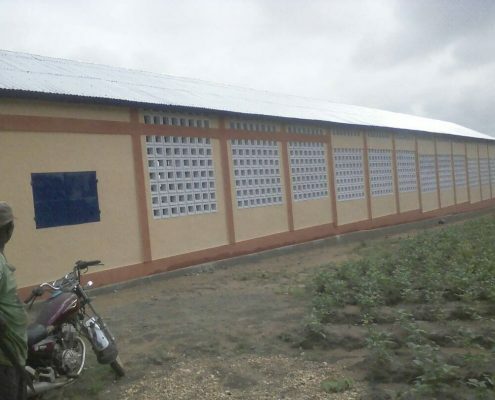 The existing school was built in 2012 and currently serves 245 students divided into 5 classes. 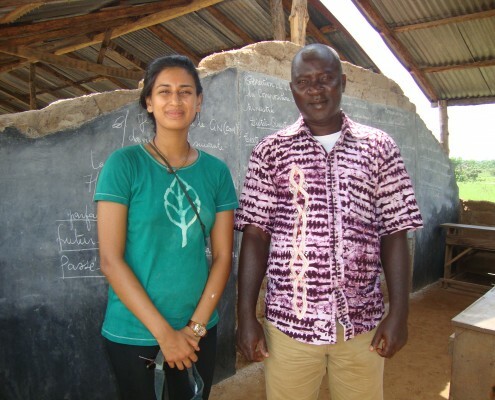 The school not only serves students of Gassi-Gassi but also surrounding small villages of Yovokope, Kolka, Tantako and Konkassi. 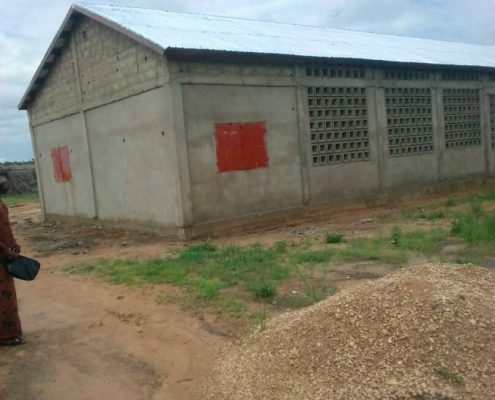 With a new school building, further villages will probably show interest in attending this school as well which would result in about 50 additional students. 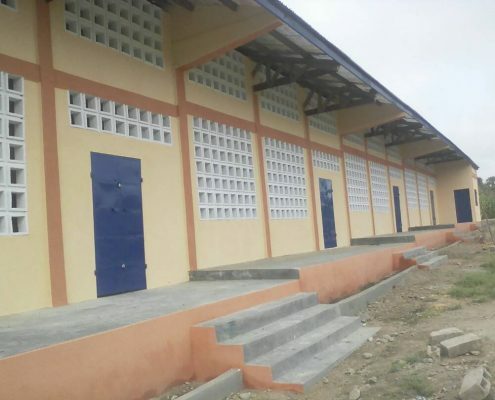 Until now, the school operated under two large straw-roofed, open-walled structures, in addition to two borrowed classrooms and an office from a nearby Catholic elementary school. 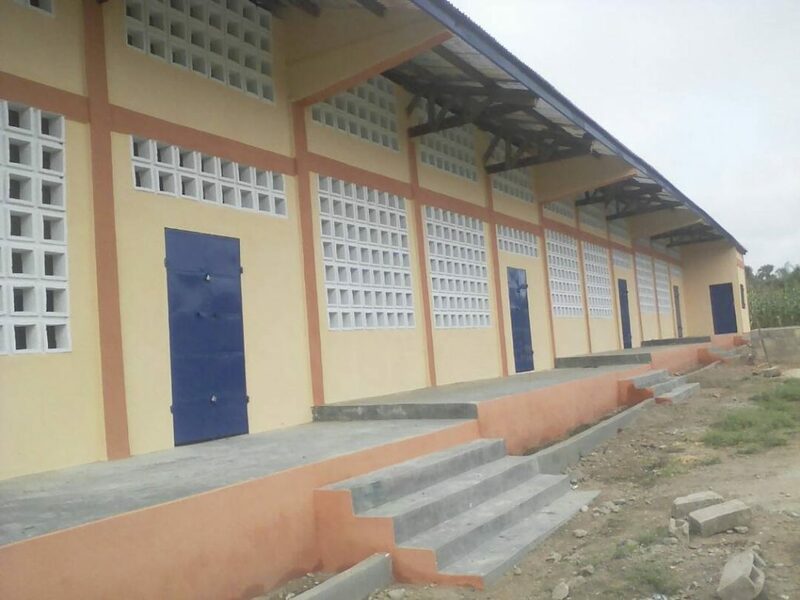 For the following school year, the school is projected to have over 300 students. 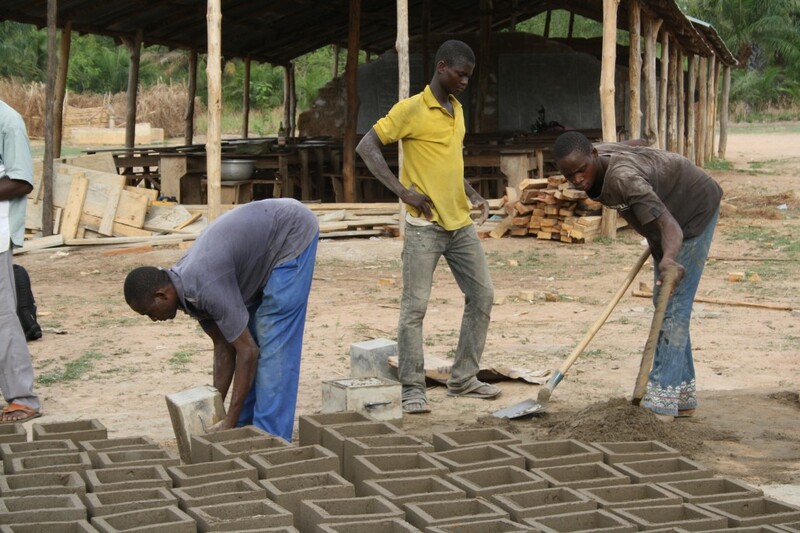 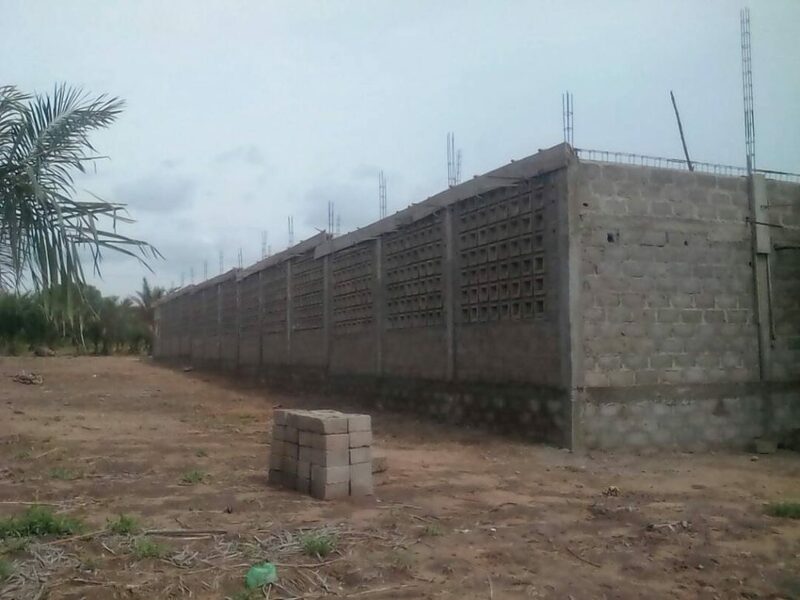 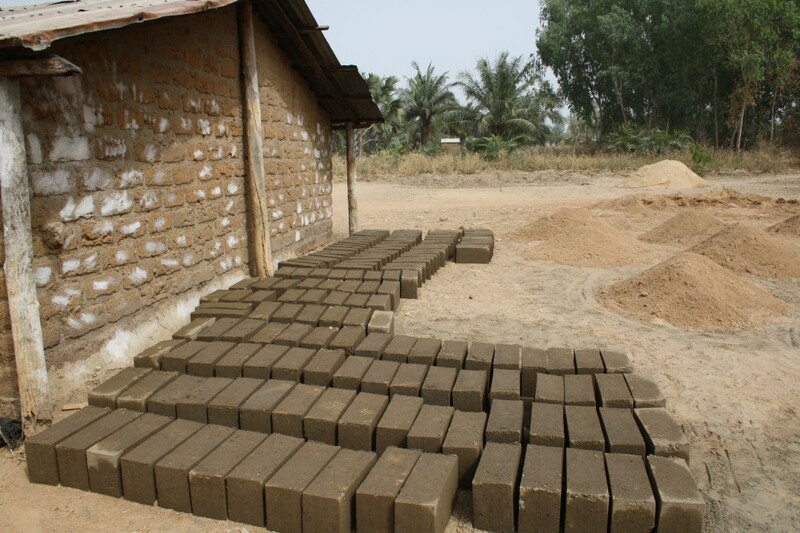 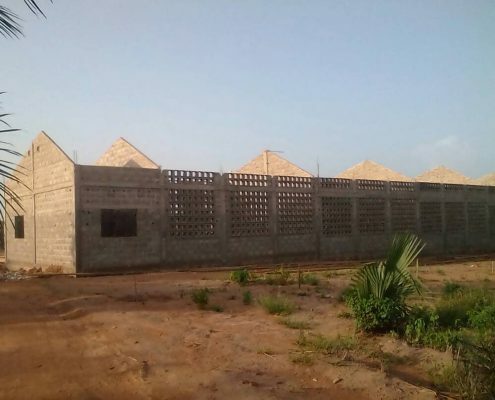 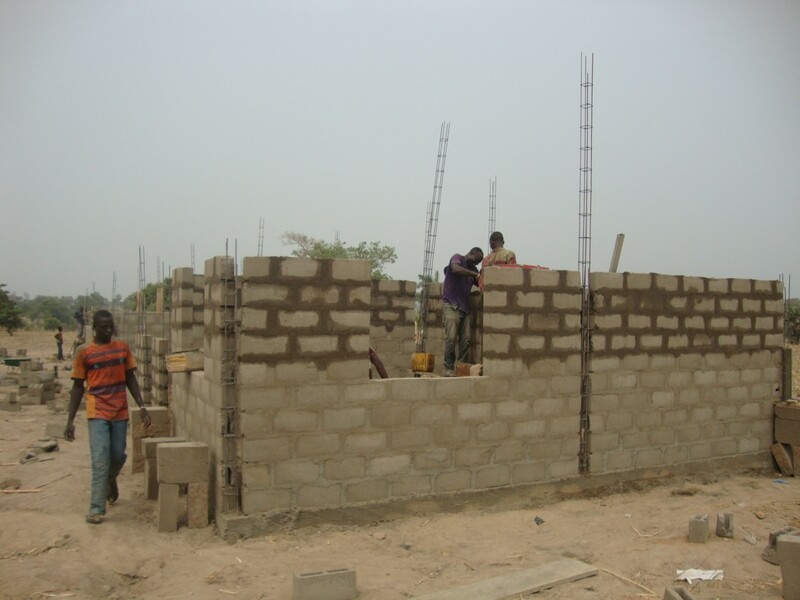 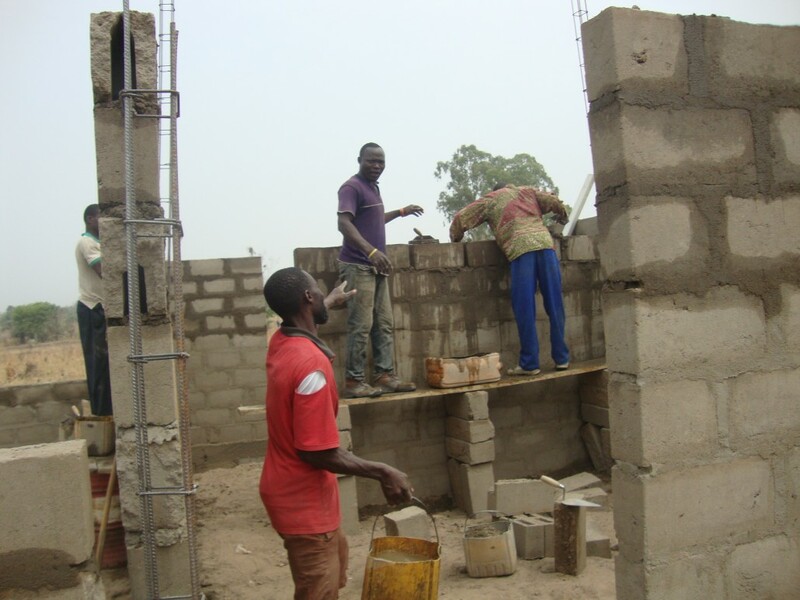 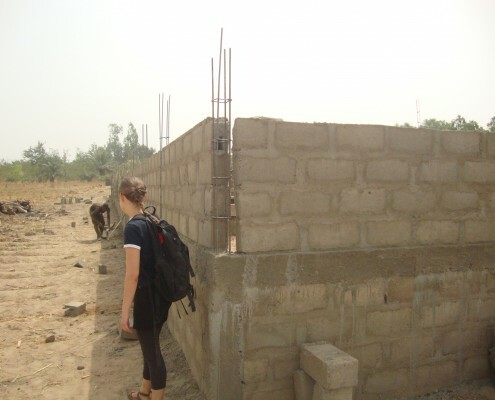 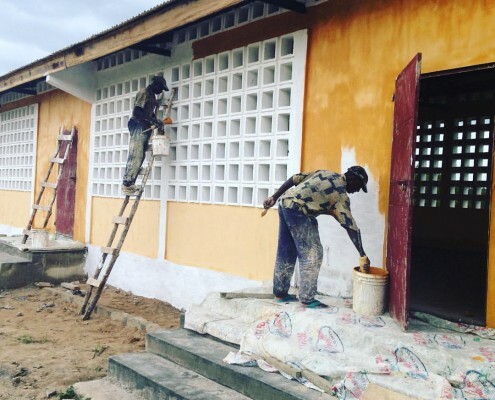 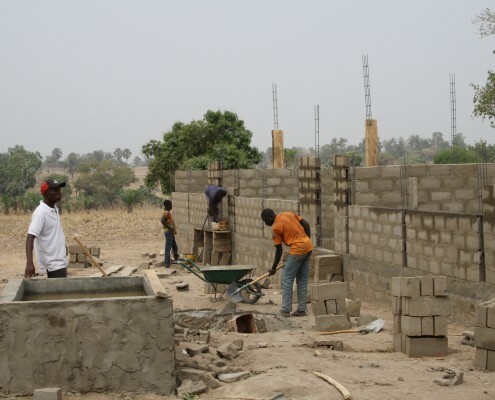 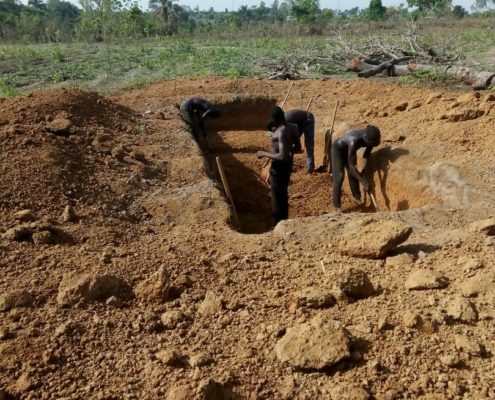 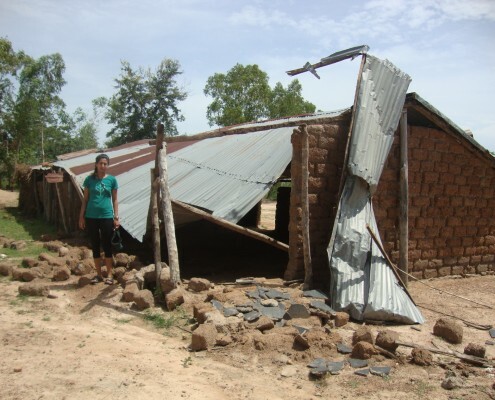 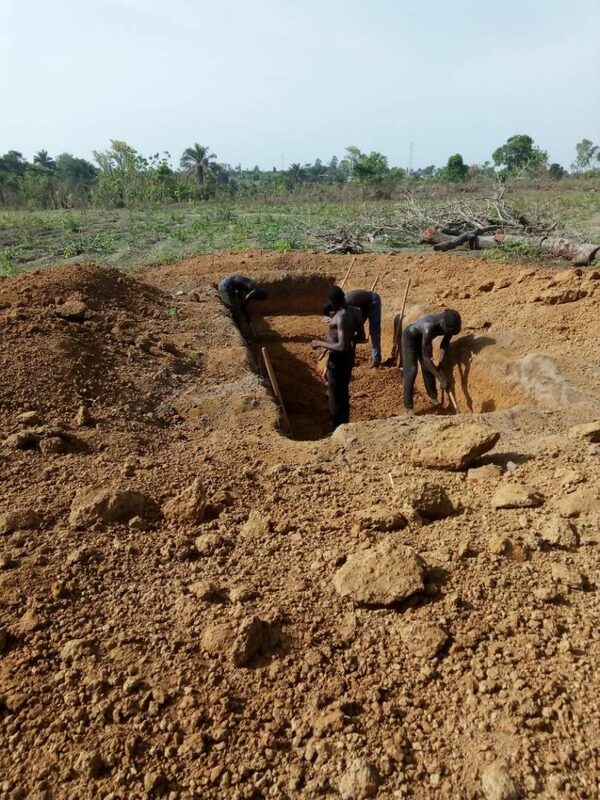 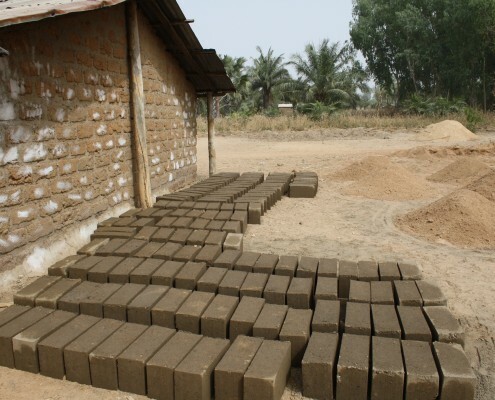 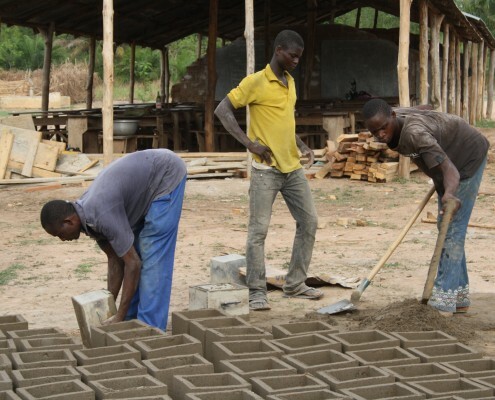 Therefore, Education Togo decided to build a middle school for the community in Gassi-Gassi to improve the school and class structure in their village. 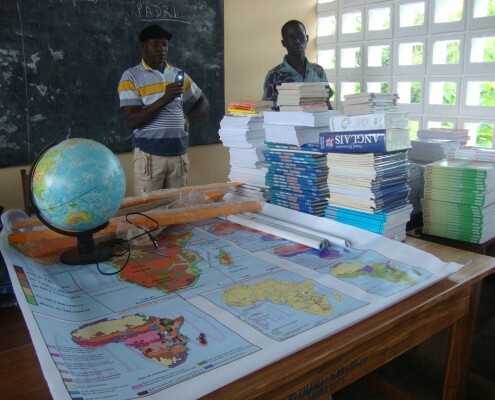 Gassi-Gassi is very motivated for education development projects. 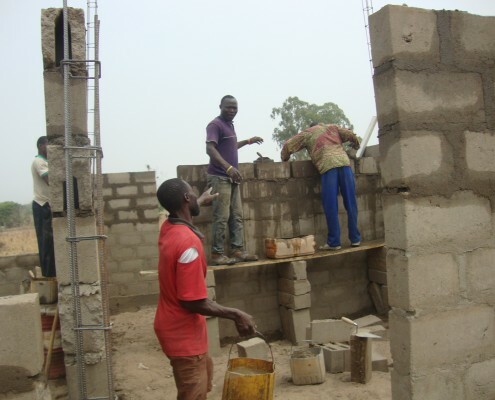 The community has an active Parent Teacher Association that meets regularly and gets involved in school-related issues as well as provides maintenance to the structures. 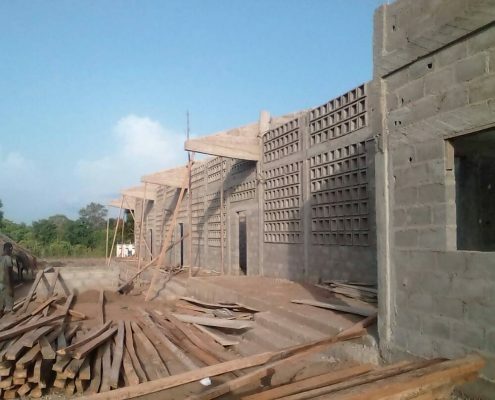 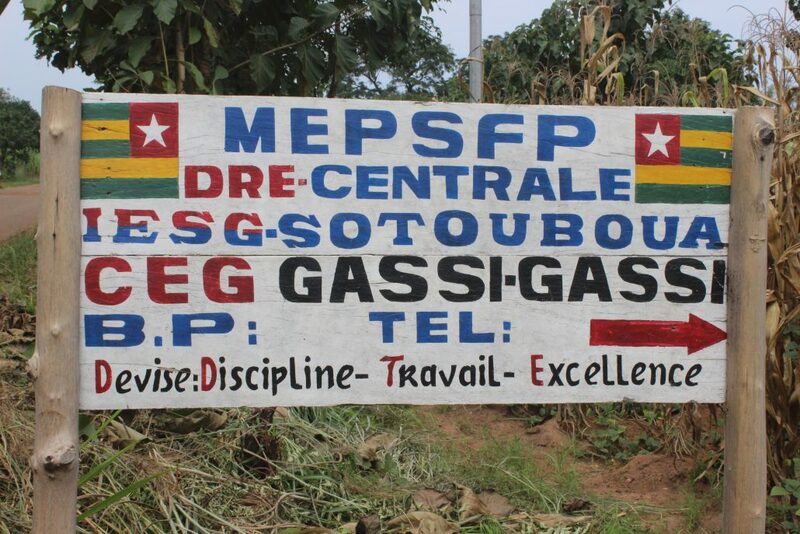 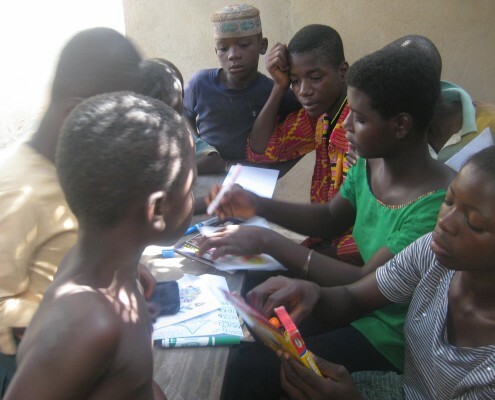 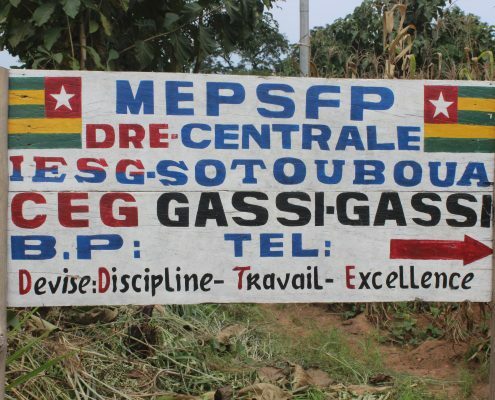 The association and the rest of the community are willing to help on this project and improve education in Gassi-Gassi together with the Education Togo team. 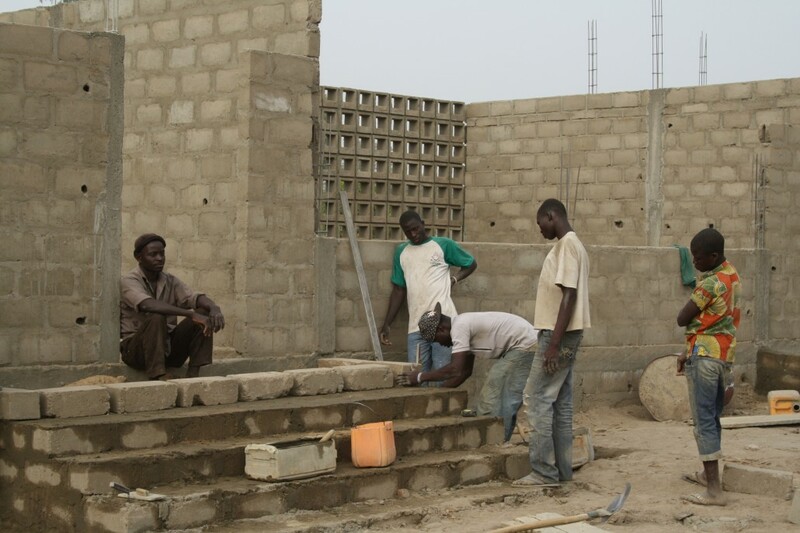 They contributed a great deal to the realisation of this project. 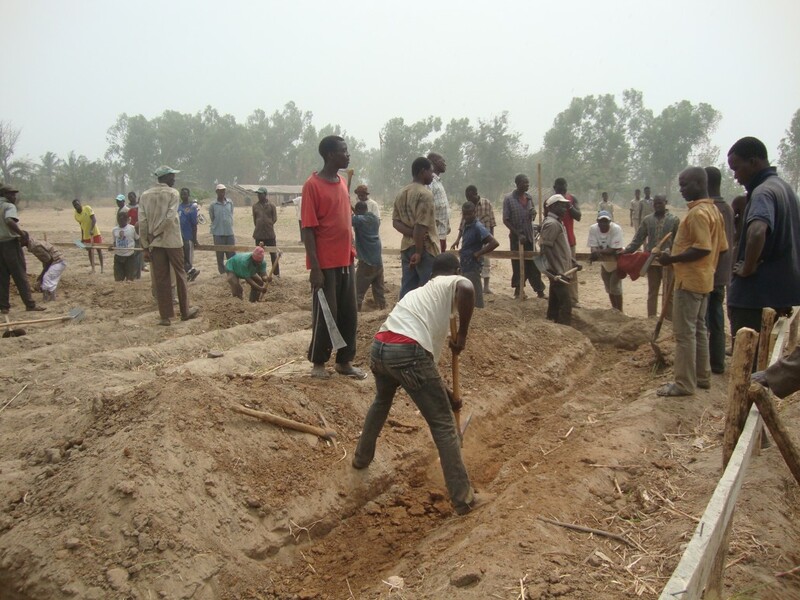 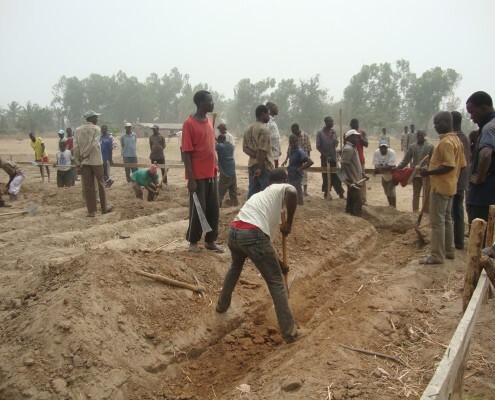 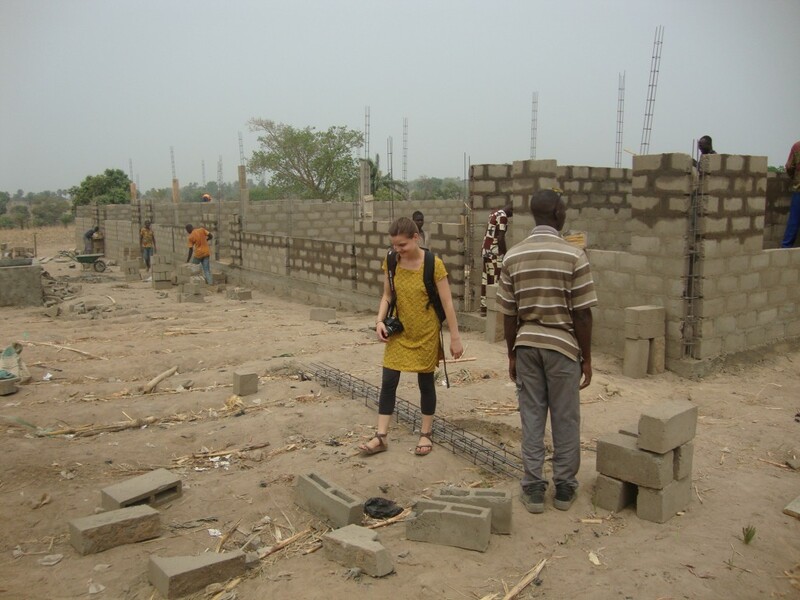 As with every school project in the past, we also cooperated with a peace corps member located in the area. 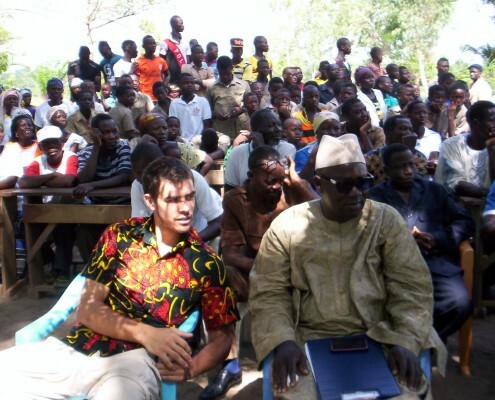 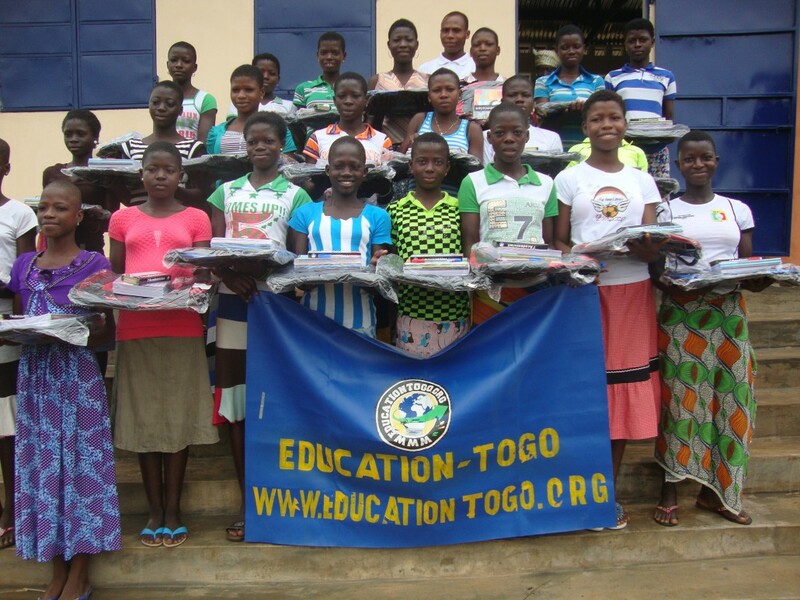 The organisation also contributed financial help so the total costs were shared between Education Togo (21.000‚Ç¨) and the Peace Corps Organisation (6.000‚Ç¨). 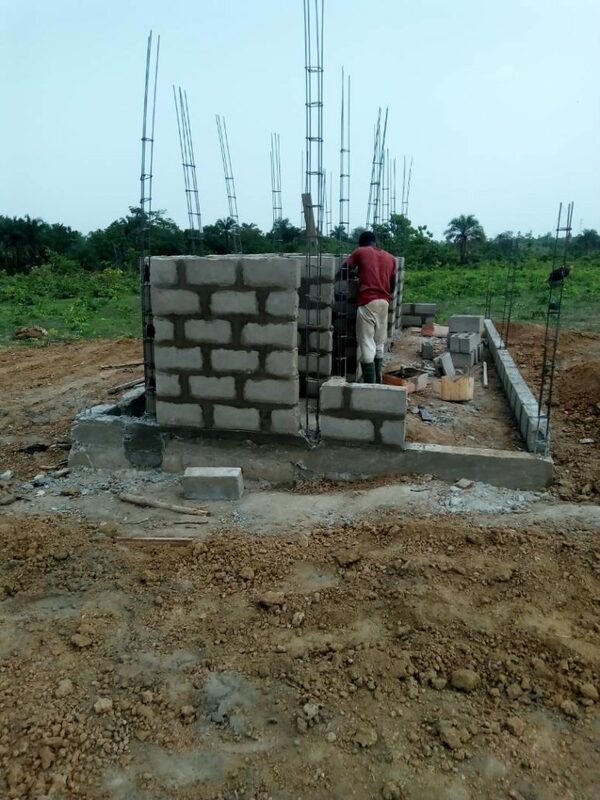 The reason behind the raise of costs compared to former projects is the fact that we cooperated with a new architect this time. 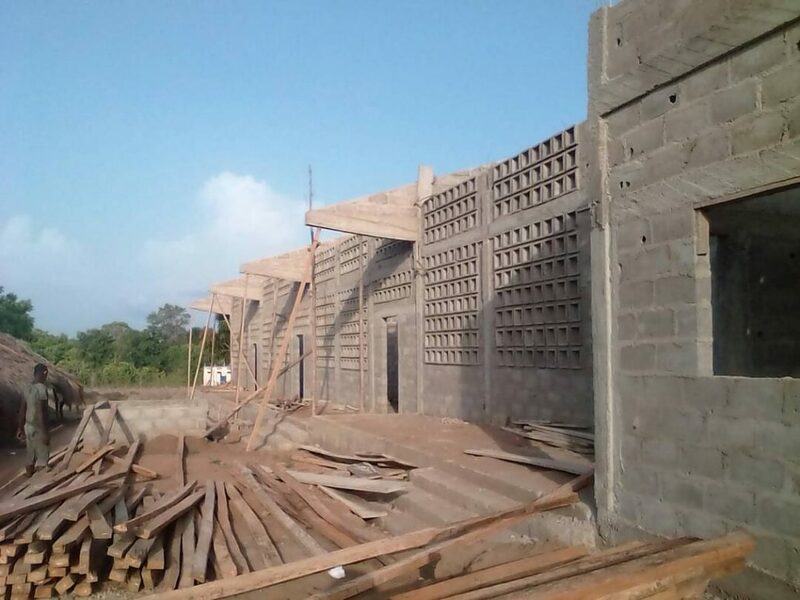 We continually search for ways to improve our work so our goal was to provide our students with an even better, more eficient and sustainable school building and we are very happy with the results. 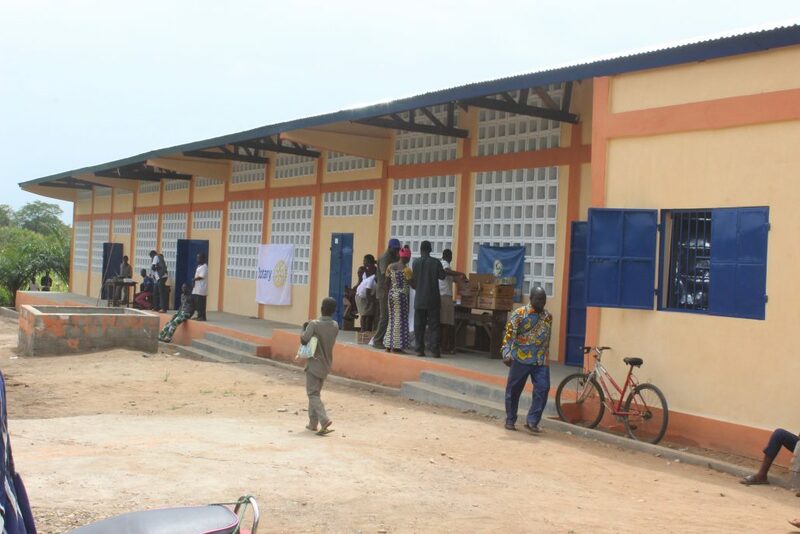 Our fifth school has been built in 2016 in Yara Kabye, avillage in the Central region of Togo. 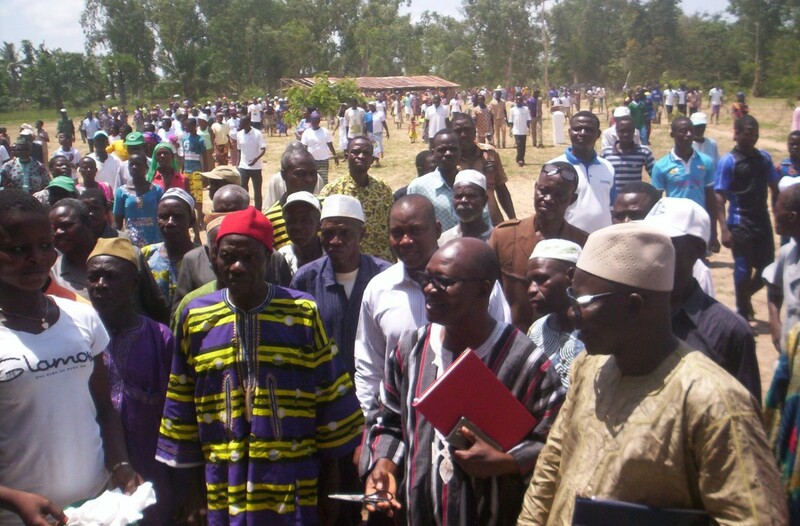 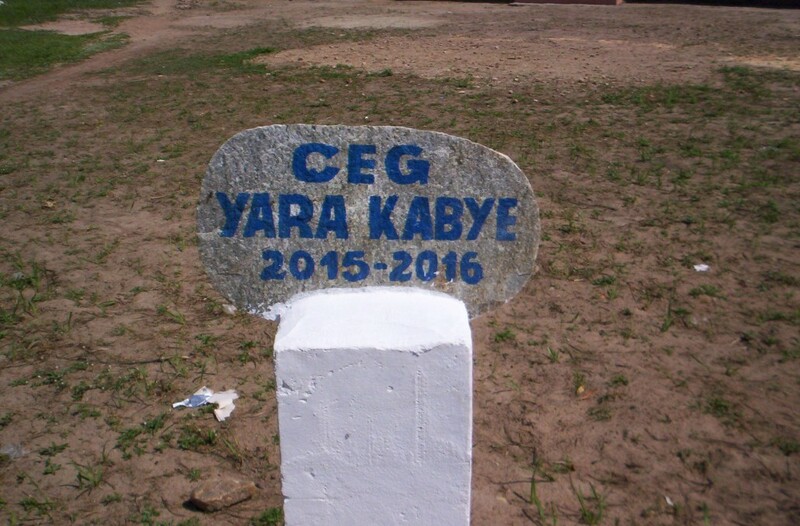 The village Yara Kabye is located in the Central Region of Togo. 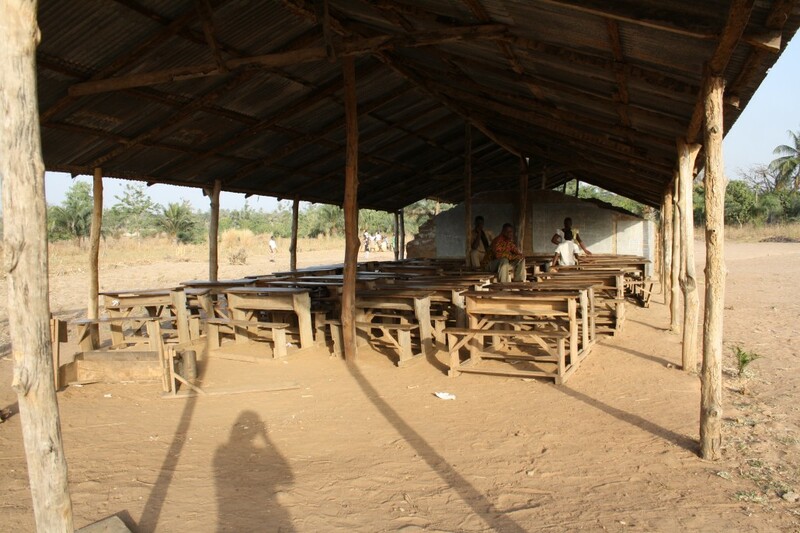 The village has a population of approximately 2,000 people. 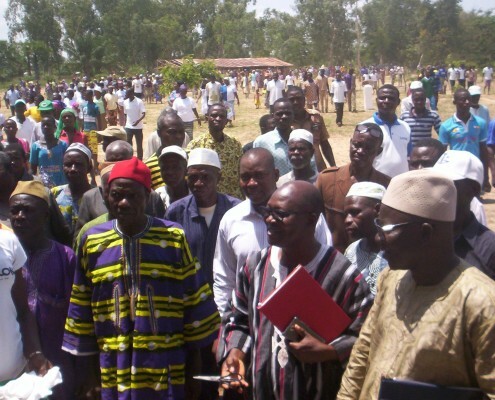 Its primary ethnic group is Kabye while its secondary ethnic group is Kotokoli. 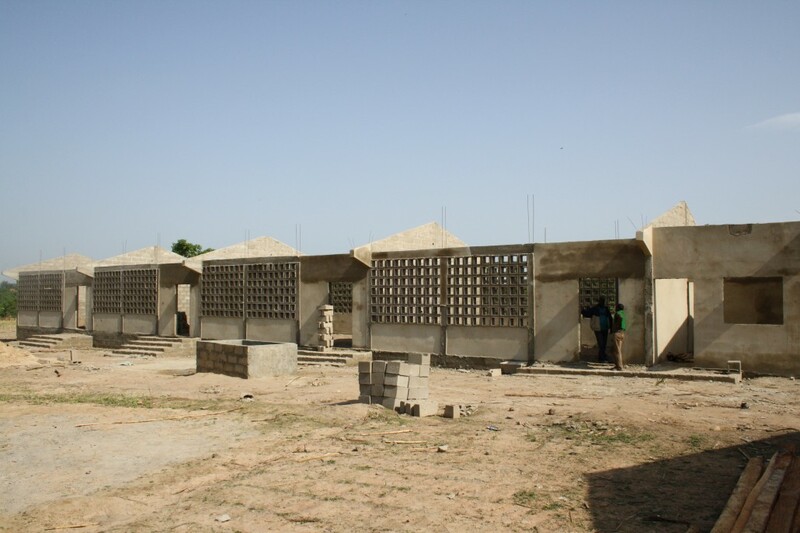 The village has a total of three primary schools and one CEG.The CEG has a total of 250 students. There are currently 156 boys and 94 girls enrolled. 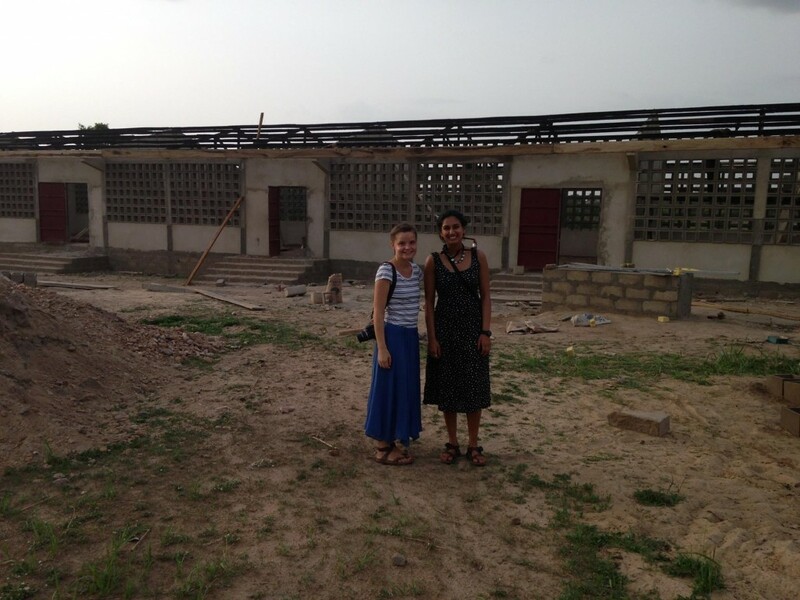 There are six teachers and one director of the CEG. The CEG curriculum includes mathematics, science, French, history and geography, physical education, and English. 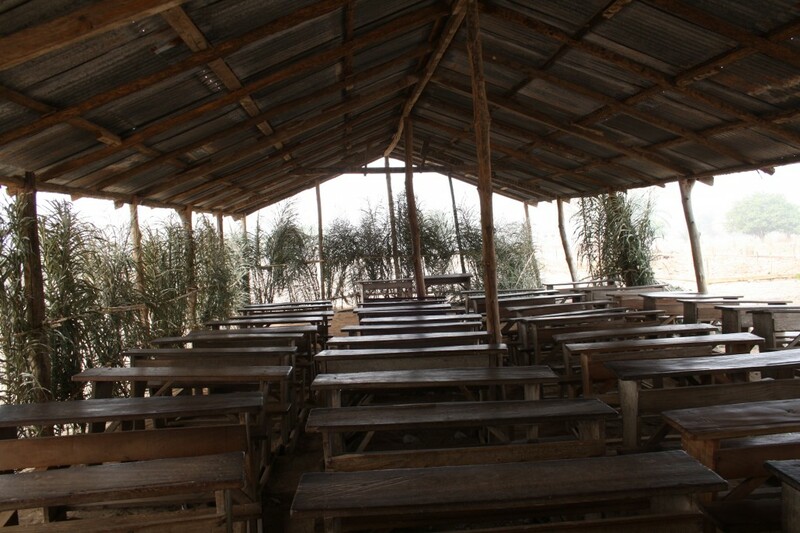 The school consists of five thatched and tin roof structures supported by wooden posts. 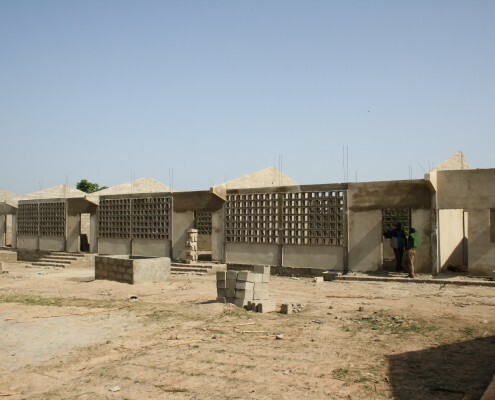 There are mud brick exterior walls on three of the five classroom structures. 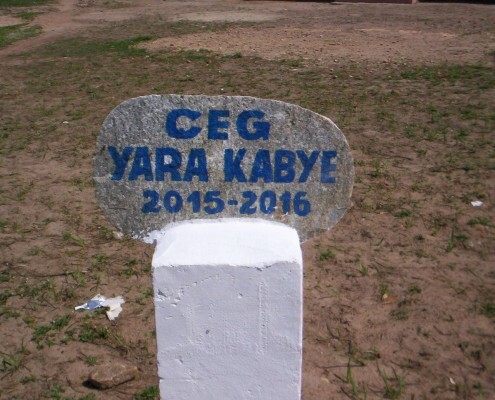 There is no electricity in the CEG. 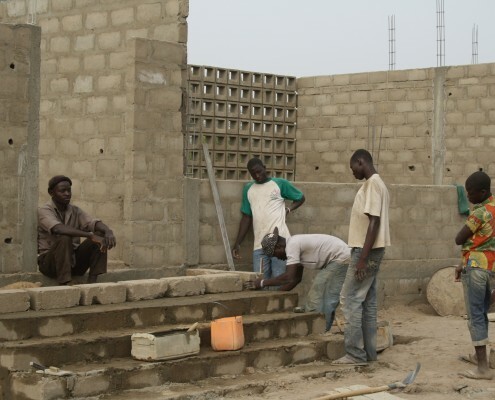 There is no classroom structure built for teachers. 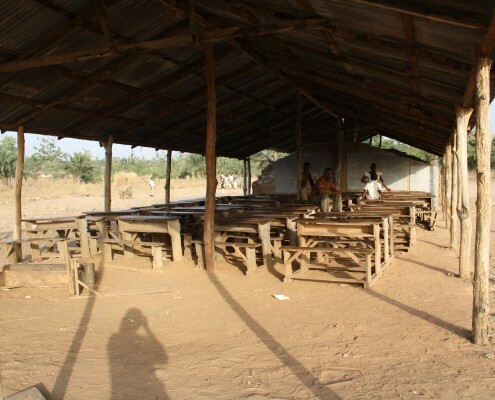 Teachers have resorted to arranging students’ desks in a designated area outside the classrooms as their area to discuss CEG matters and plan classes. 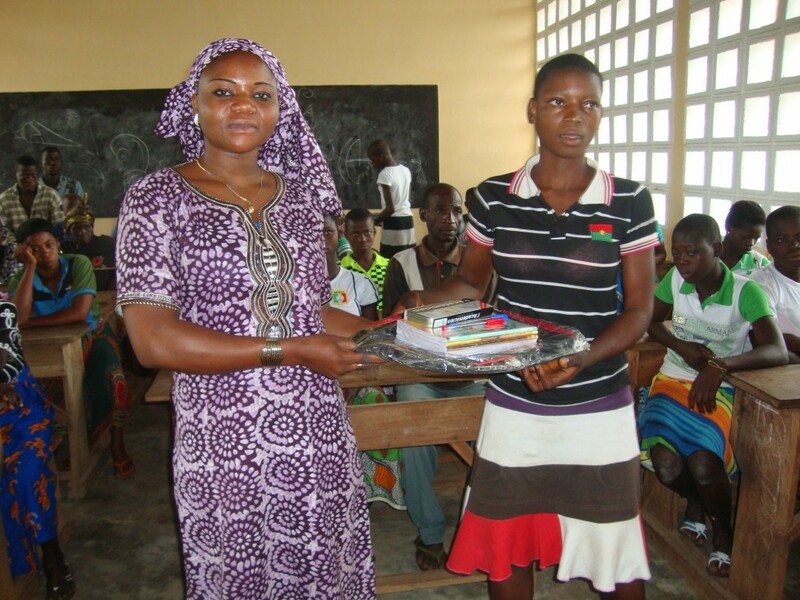 The CEG rents a small room about 0,5 km away from the CEG to store textbooks and school supplies. 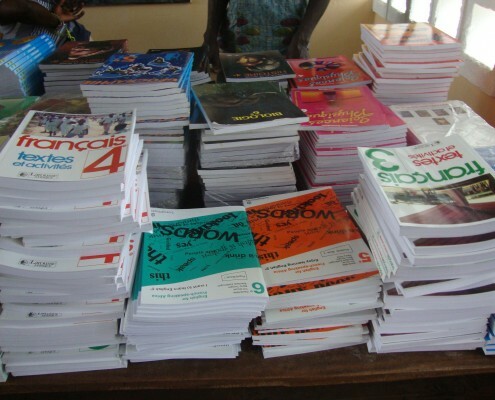 The CEG faces a shortage of textbooks as they were purchased many years ago and have since undergone much damage due to students’ daily use. 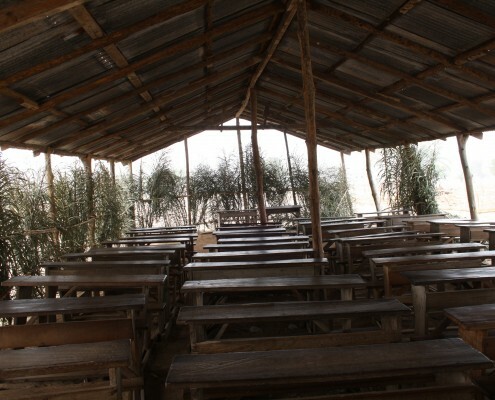 The classes held in the thatched and tin roofed classroom structures are commonly disrupted by rain. 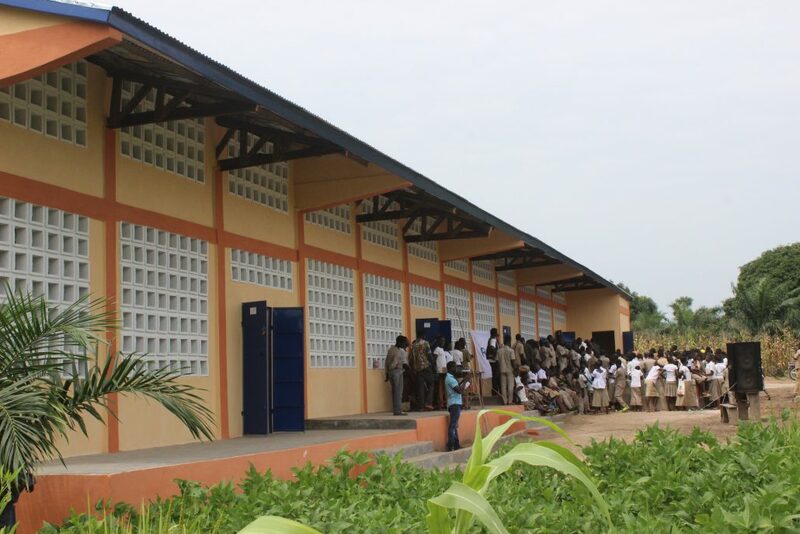 Students are often disrupted by the school’s activities going on outside their classroom as there are no enclosing walls. 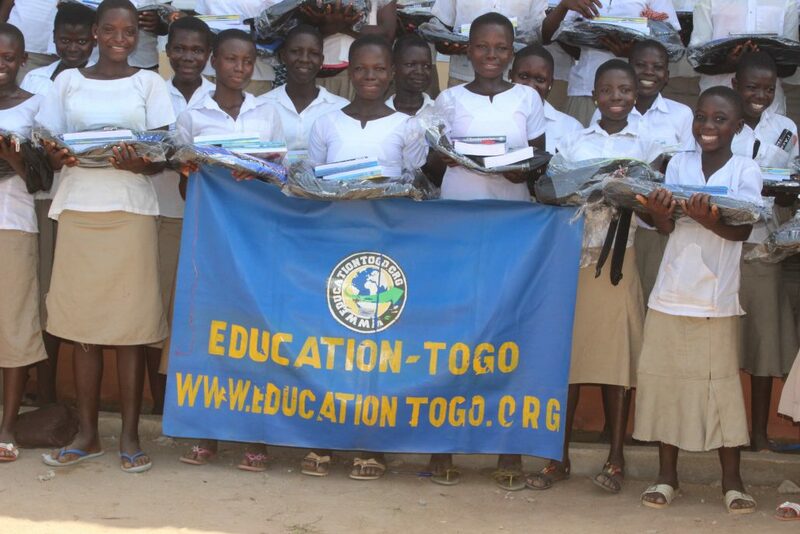 The CEG also faces a high dropout rate of girls particularly after girls’ second year of CEG. 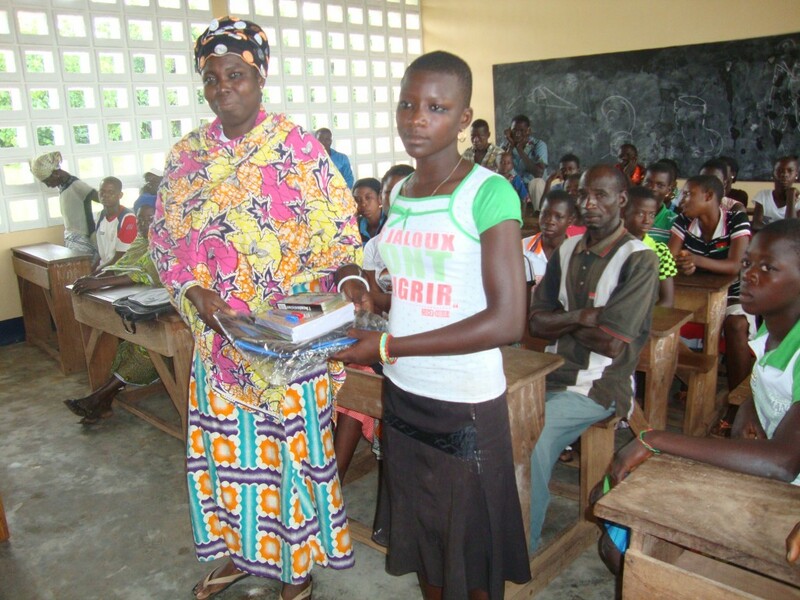 Many of the girls’ dropouts are due to early pregnancy, child trafficking, and child marriage. 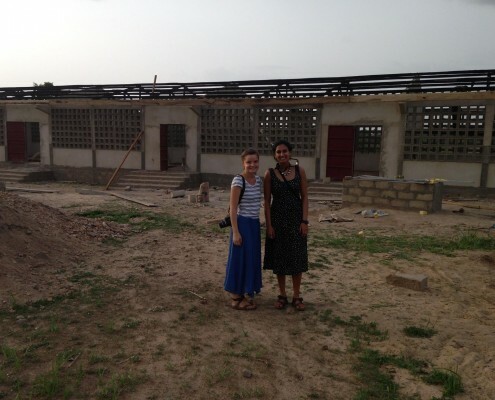 Peace Corps volunteer Saumya, who is in her second year of service, is currently living in Yara Kabye. 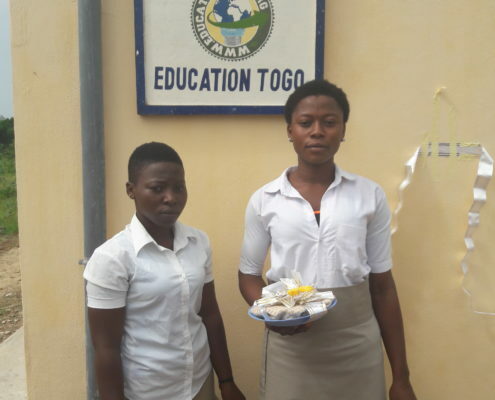 Saumya has initiated student clubs in the CEG including a youth leaders club, an English club, and a girls¬¥ soccer team.She has alsoorganized a training for the club in partnership with Education Togo on the importance of girls’ education. 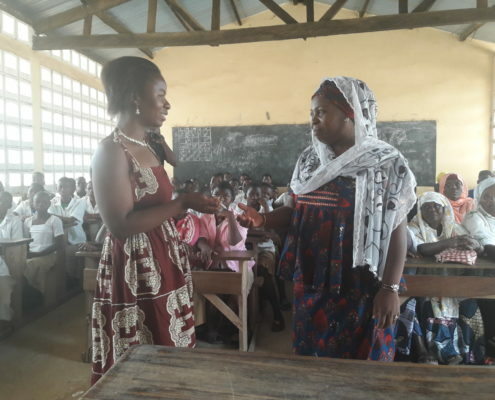 Club members discussed the issue of high dropout rates among girls in their CEG as well as how to combat the Togolese cultural norm of unequal house work between girls and boys, as Togolese girls are often given more chores compared to boys. 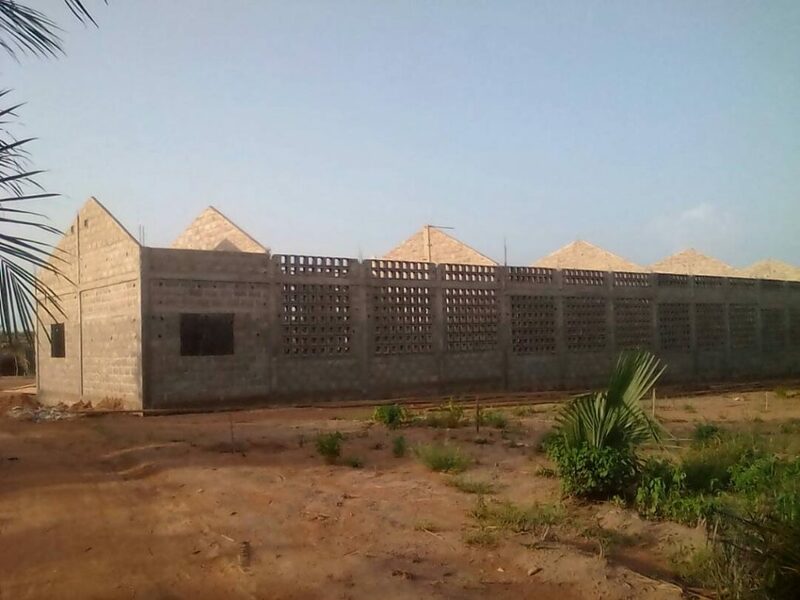 The Yara Kabye village is very enthusiastic about achieving development in their village and is eager to organize development projects with Togolese organizations such as Education Togo. 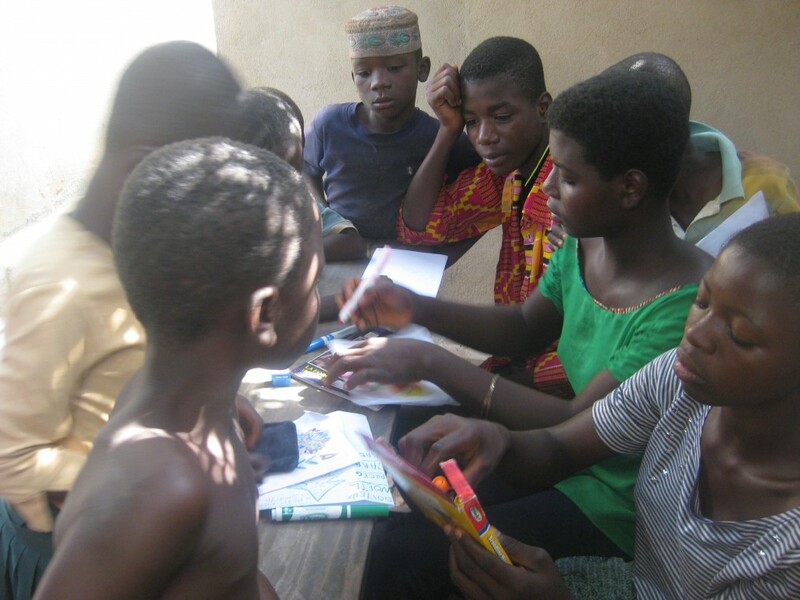 Saumyais committed to mobilizing community members to contribute to all development initiatives. With joined forces we made it happen! 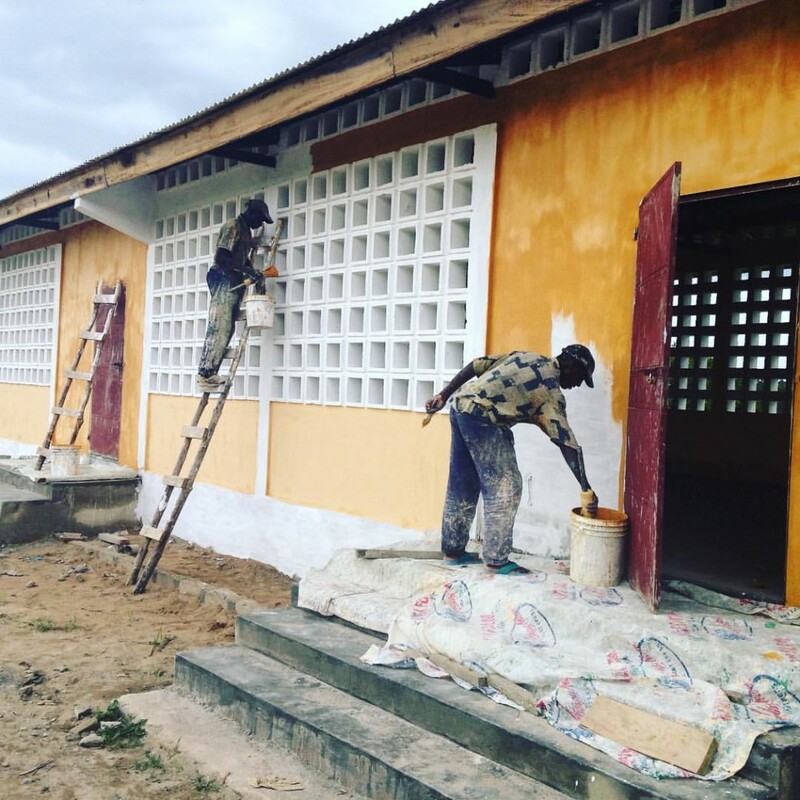 Within only three months we’ve built a new school for more than 350 secondary students from Yara Kaby√® and the surrounding villages. 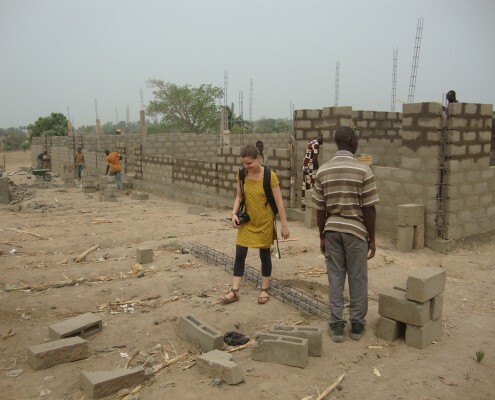 After the cornerstone was laid in mid-January professionals and volunteersfrom the village, US Peace Corps and Education Togo, all worked hand in hand to finish the construction works as soon as possible. 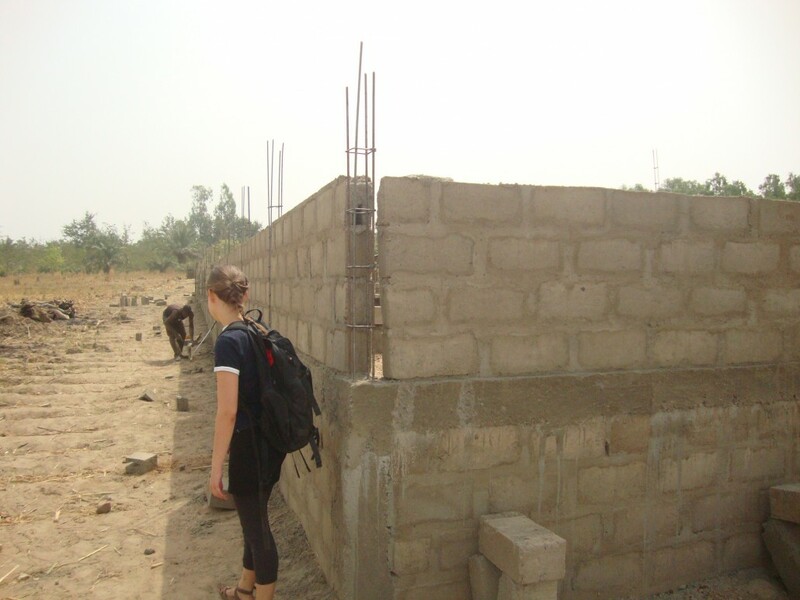 As division of labor is common in the Togolese society, women were responsible for filling up the water tank at the construction site every morning in order to ensure continuous work whereas men worked as professionals and volunteers on the construction site itself. 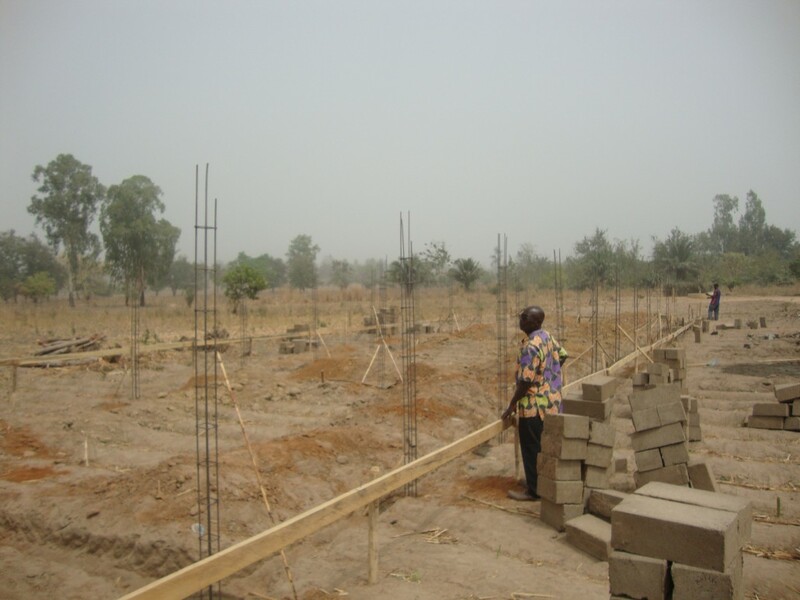 The community not only contributed labor but also land and natural supplies like for example gravel and sand. 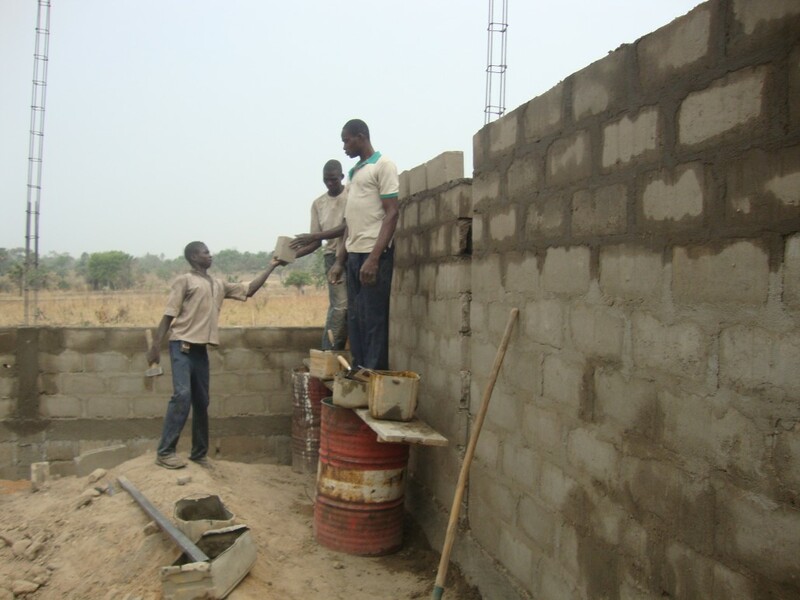 These heavy materials had to be carried by the bucket up from the river and to the new school. 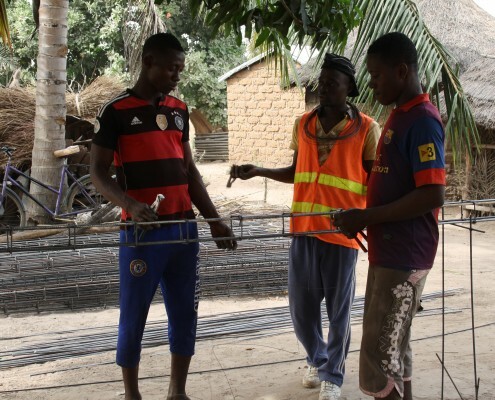 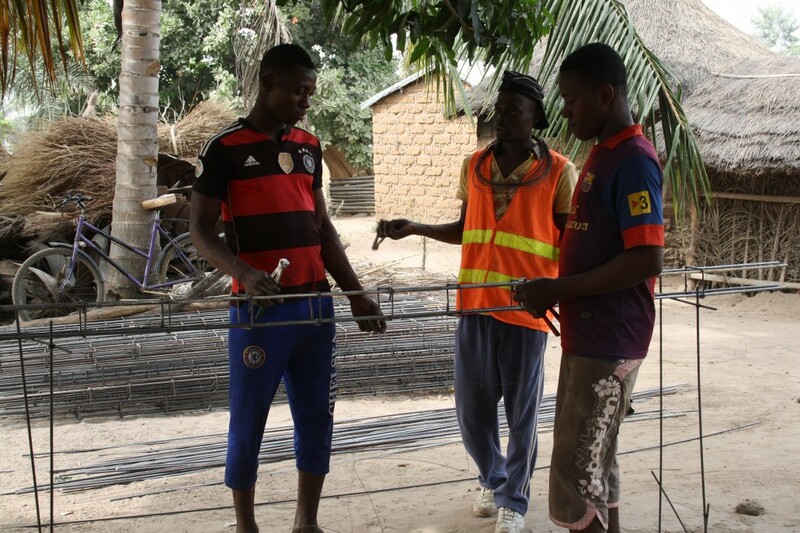 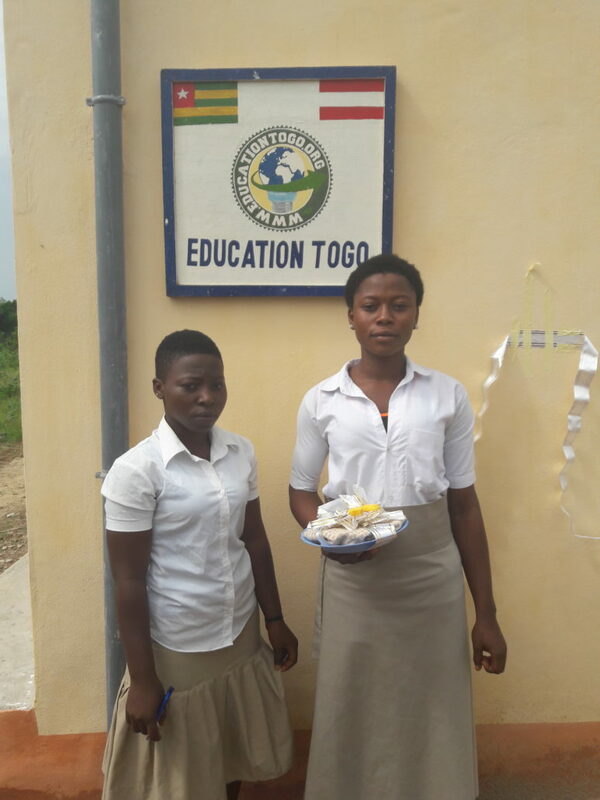 Education Togo contributed (in large parts) the financial means as well as its experience in construction work and project management towards the success of this project. 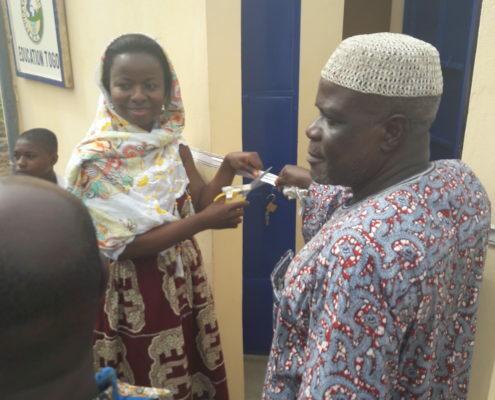 And then, three months later, a dream for the inhabitants of Yara Kaby√® came true! 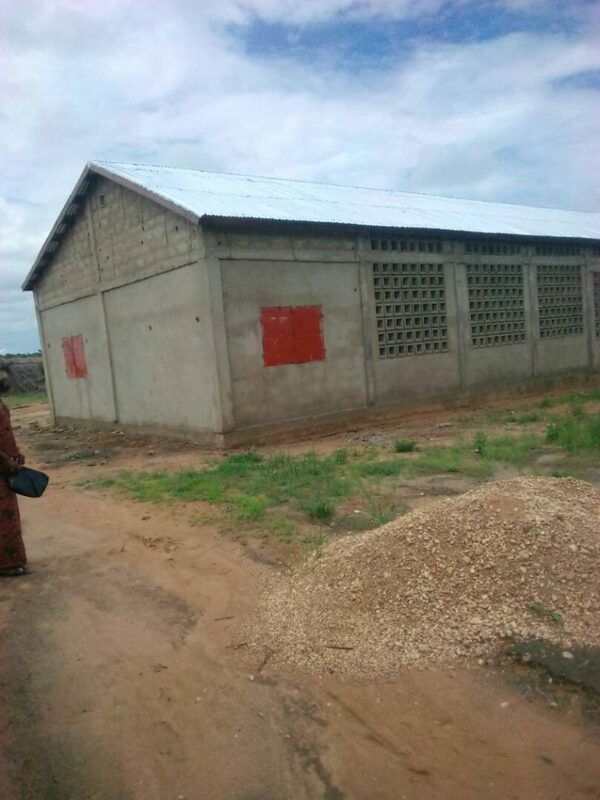 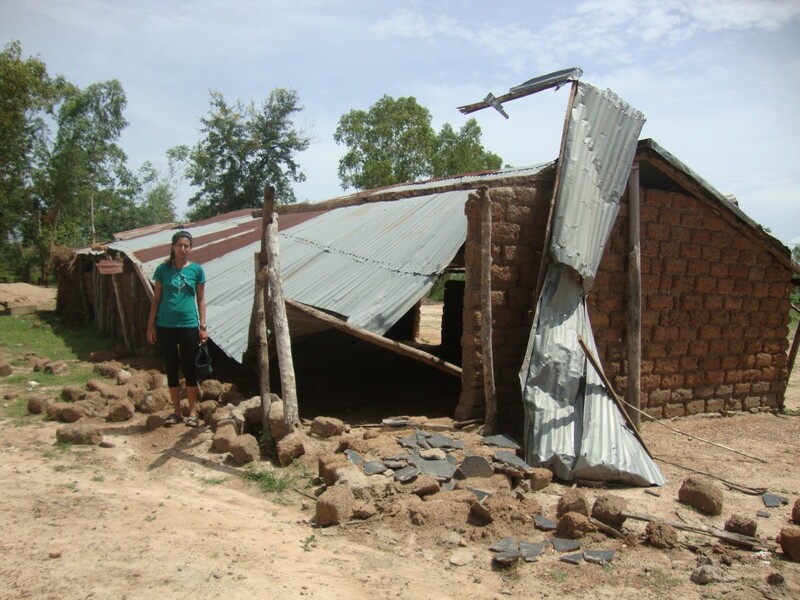 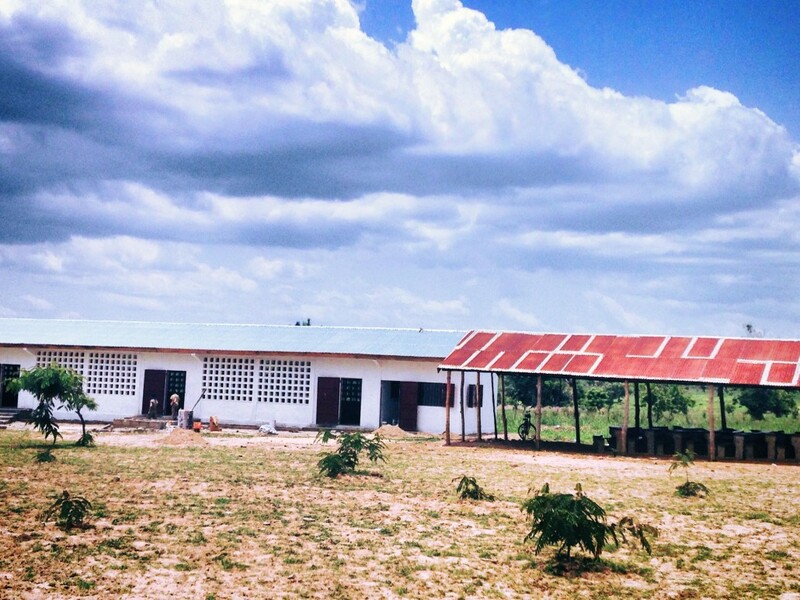 The new school building painted in the lovely colors of orange and red opened its doors on a Monday morning for girls andboys eager to learn.This solid and secure building – where flying tin roofs would no longer be a danger – was built right in time before the rainy season starts. 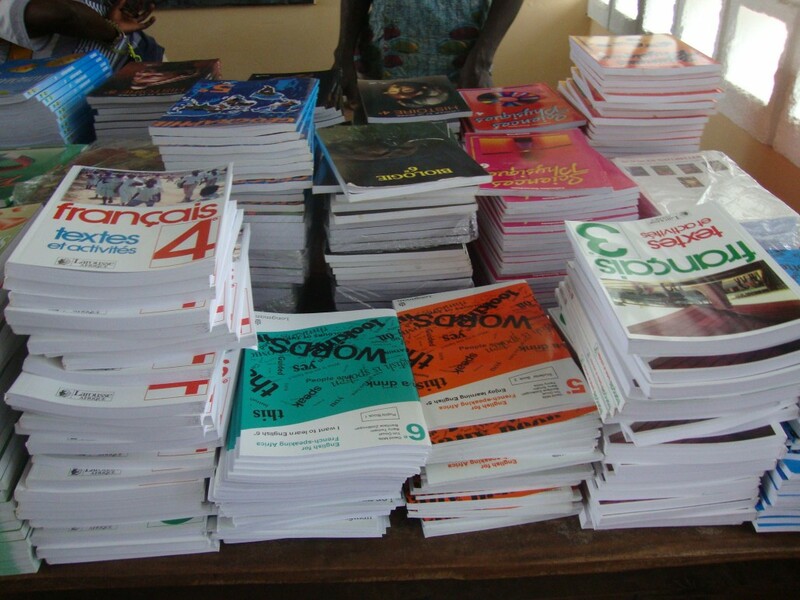 This means no more disrupted lessons due to storms and rain and other disturbances from outside the classroom. 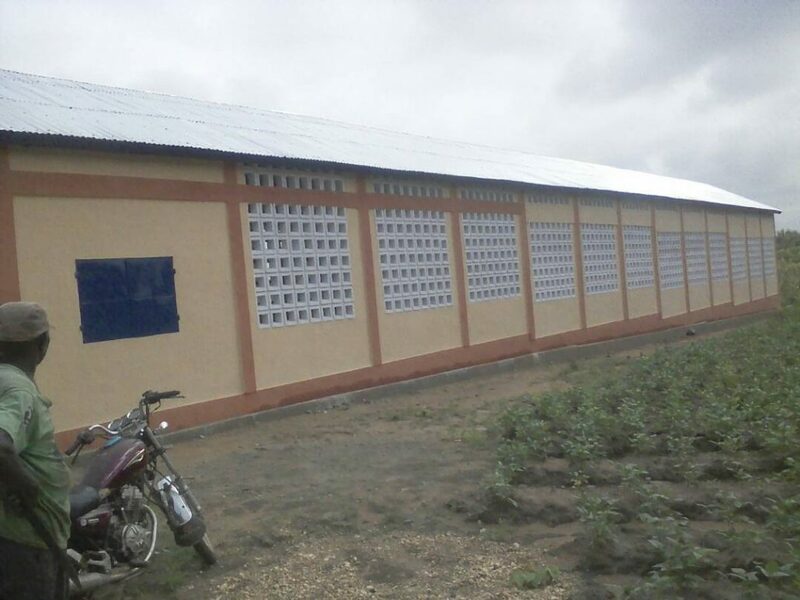 With enclosing walls, students are now able to stay focused and concentrate on their subjects. 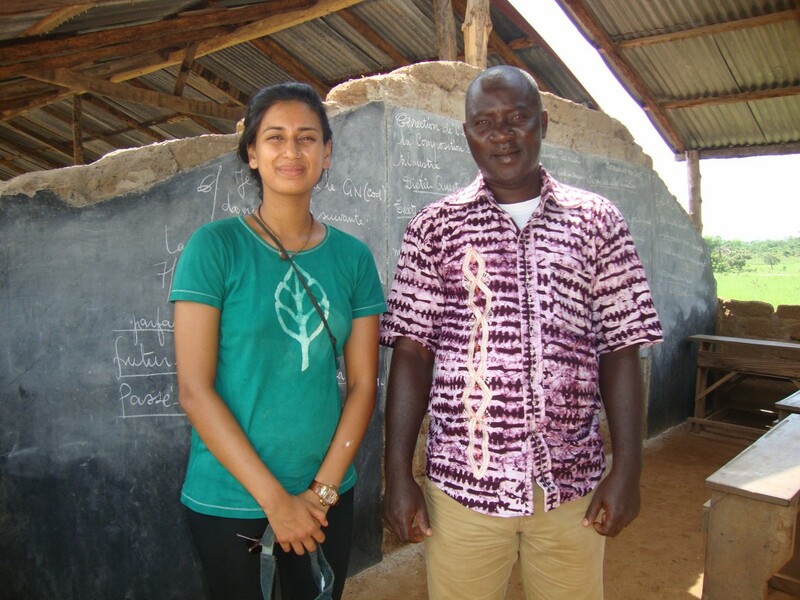 But also for the hard-working and dedicated Peace Corps volunteer Saumya a dream came true: teaching English in a school just under thatched roofs and wood poles for the past two years, she can now finish her service in an actual building with even more motivated kids in her classroom. 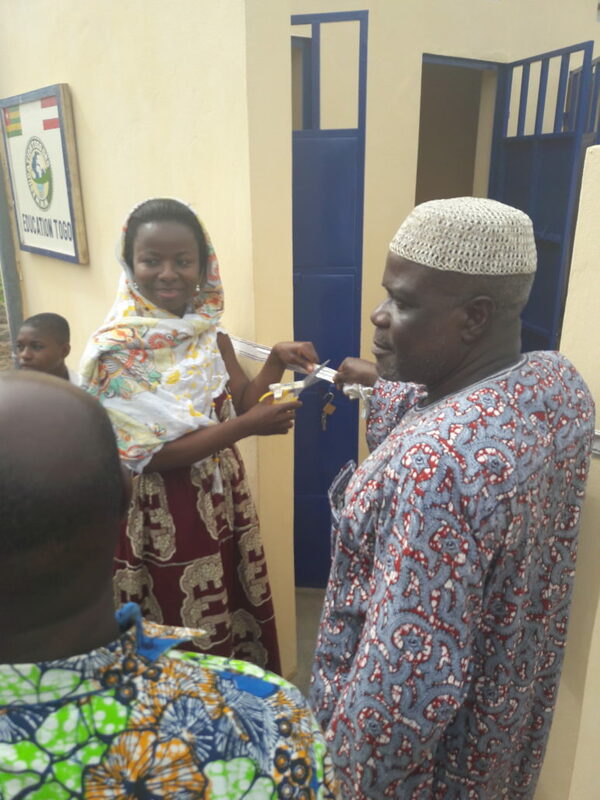 The inauguration ceremony was held on 22 April 2016. 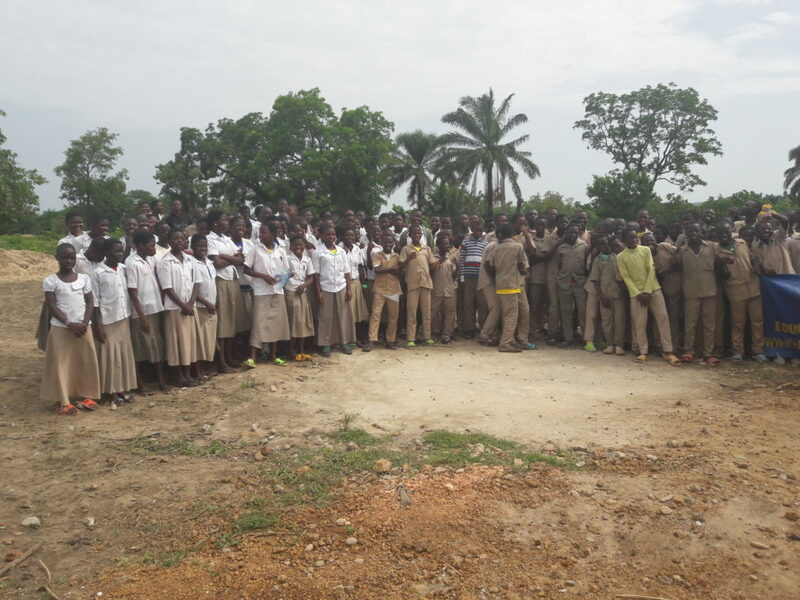 The celebrations were opened with the national anthem sung by the students of the CEG. 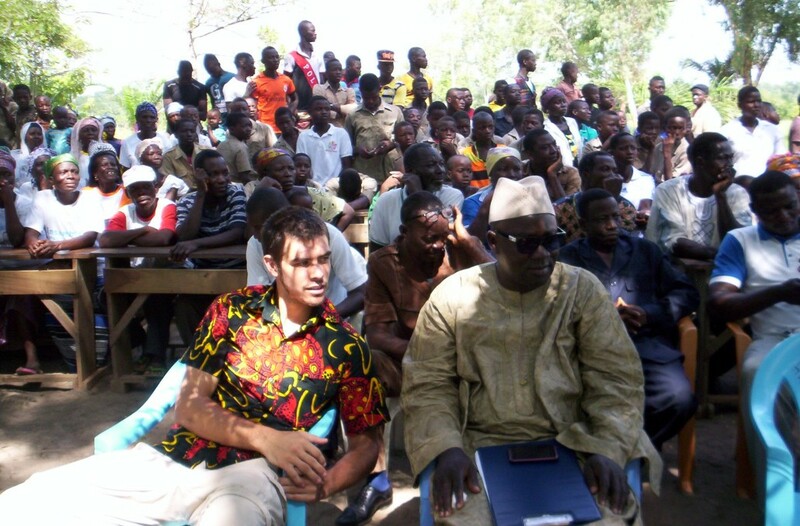 Some of the guests then took the opportunity to express their gratitude but also to address future ambitions to improve the quality of children’s education in the village. 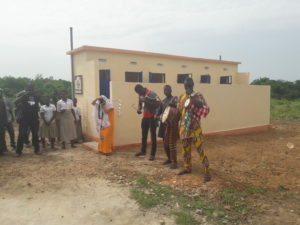 In between the celebrations were accompanied by the rhythmical beat of drums, by amazing traditional dances from different ethnic groups and by songs and poems. 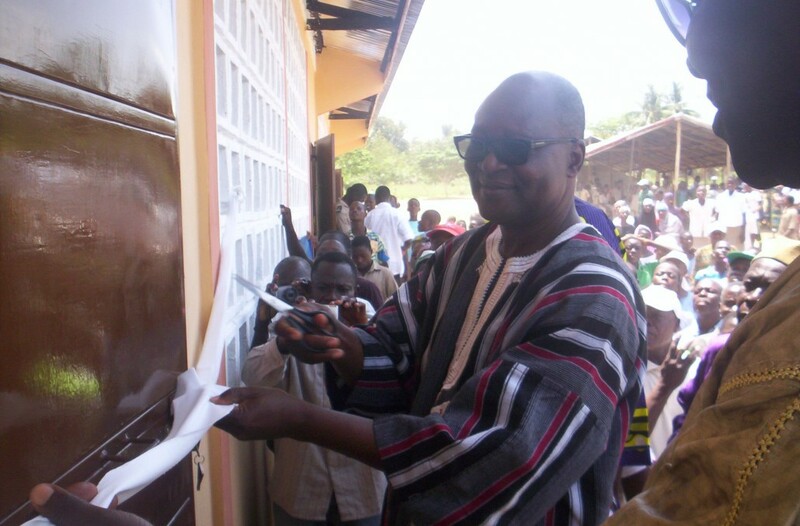 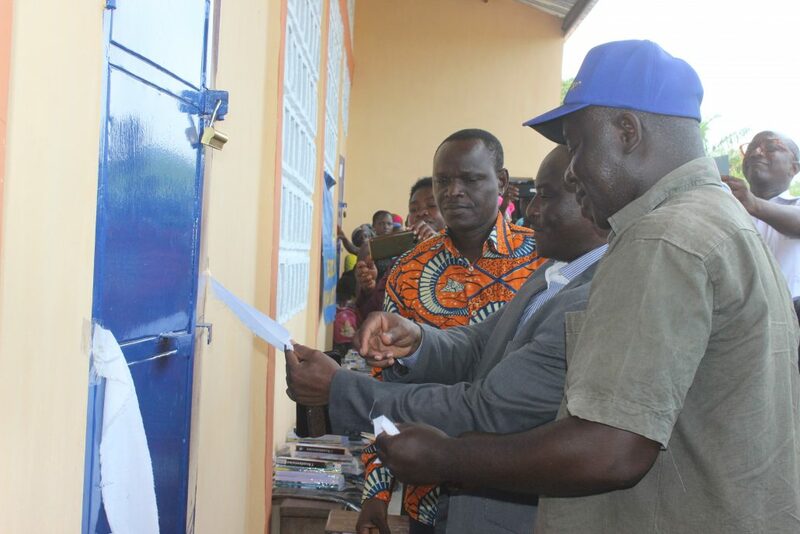 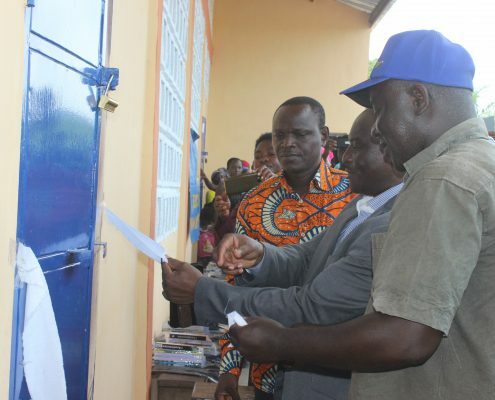 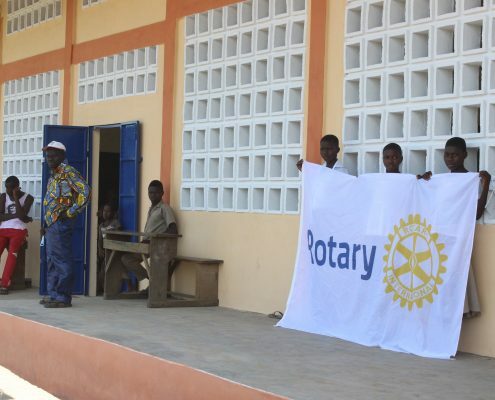 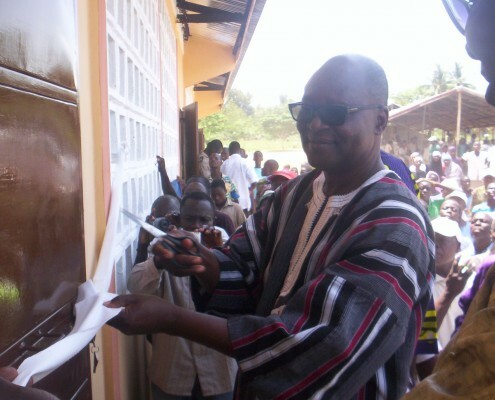 Excitement and joy loomed on the faces of the participants when the red-and-white ribbon was cut by the Regional Director for Education and Razak, Head of Education Togo’s local branch, and the doors of the classrooms were finally opened. 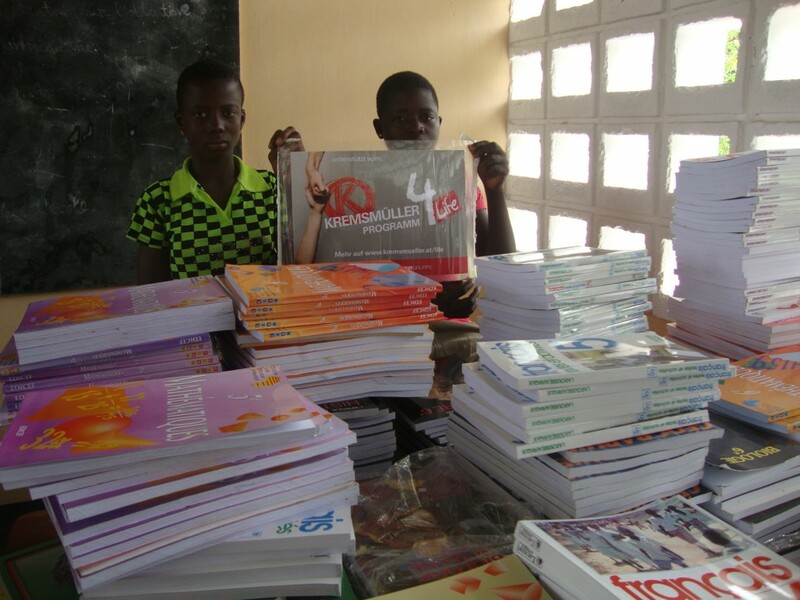 In Kalanga, the school community was growing very fast, andneither the students nor the teachers had enough books. 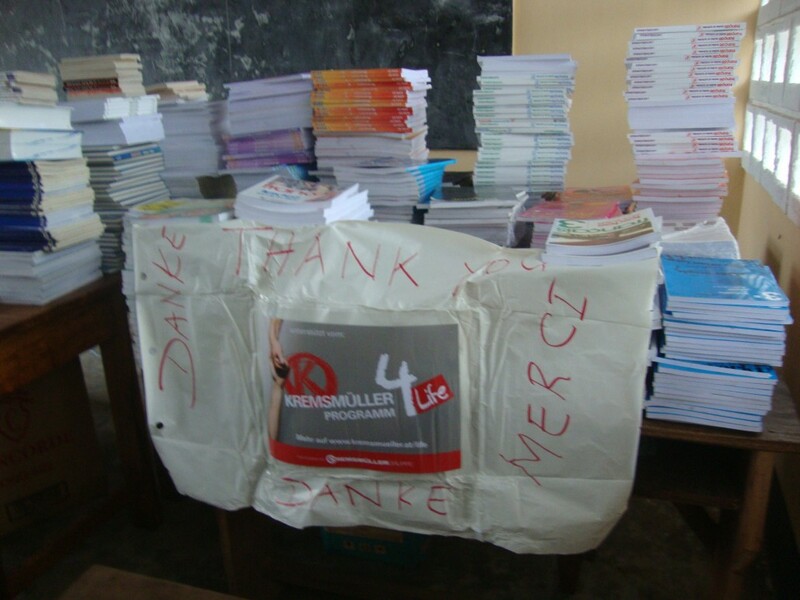 That is why we decided to establish a library at the school in Kalanga. 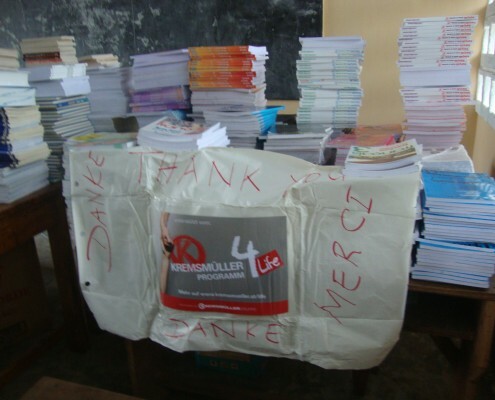 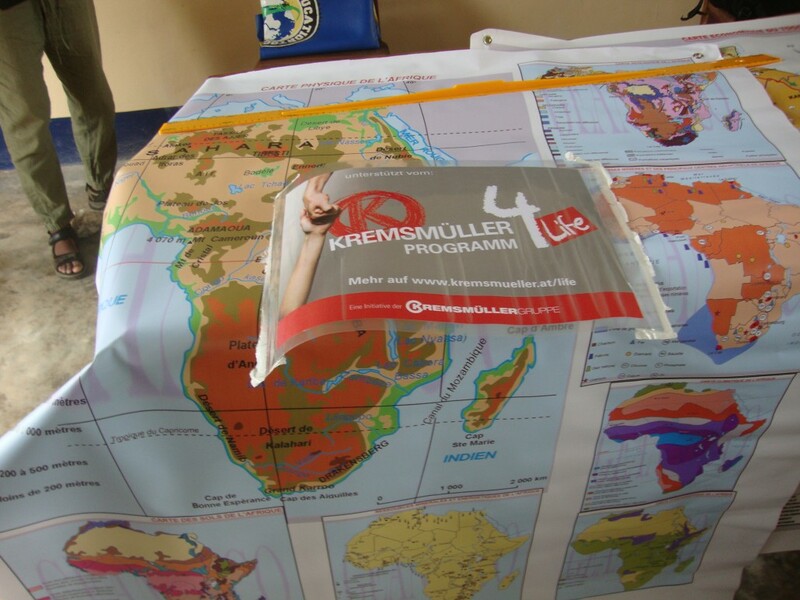 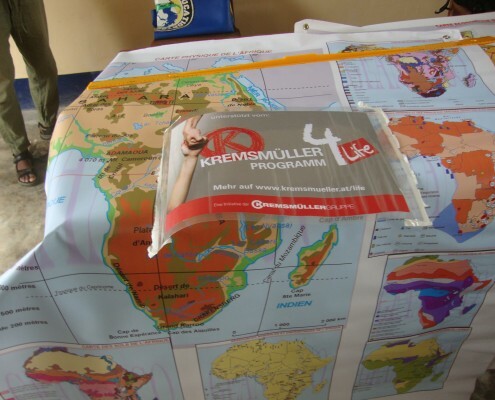 The project was led by US Peace Corps volunteer Scott and numerous school books and other teaching materials could bebought thanks to thegreat financial support from our donor Kremsmueller.